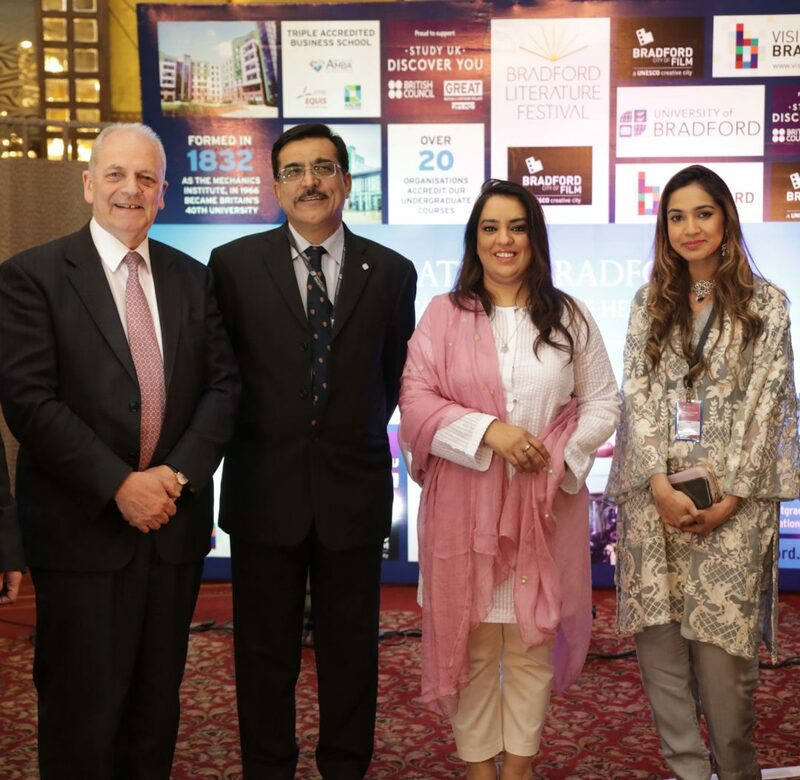 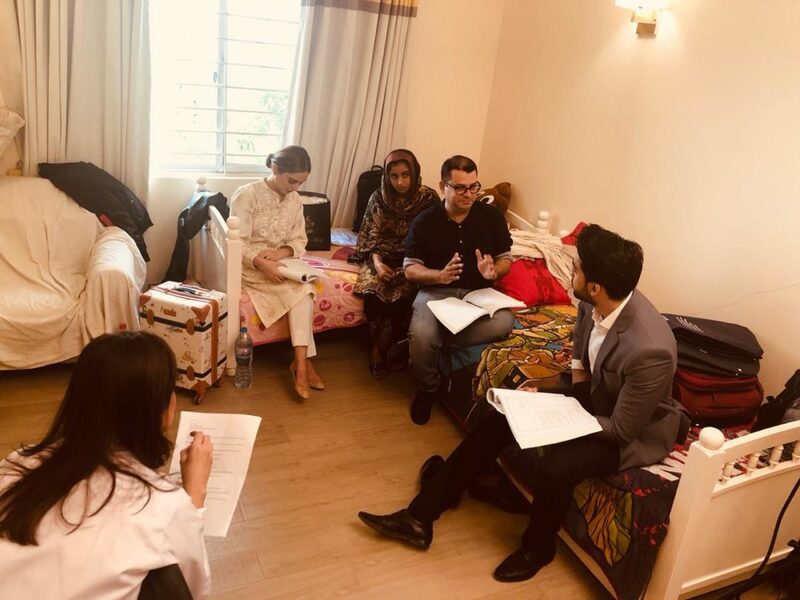 A high-powered delegation led by the University of Bradford’s Vice Chancellor Professor Brian Cantor hosted ‘Destination Bradford’ networking dinners in Lahore and Islamabad. 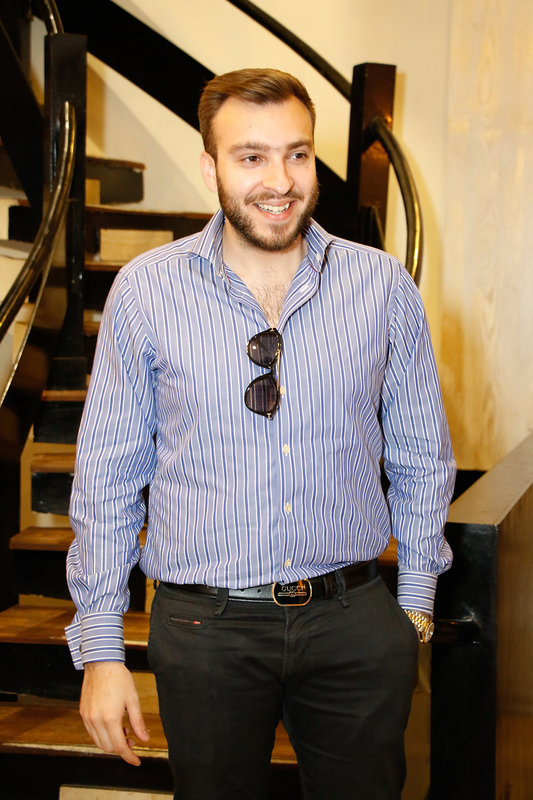 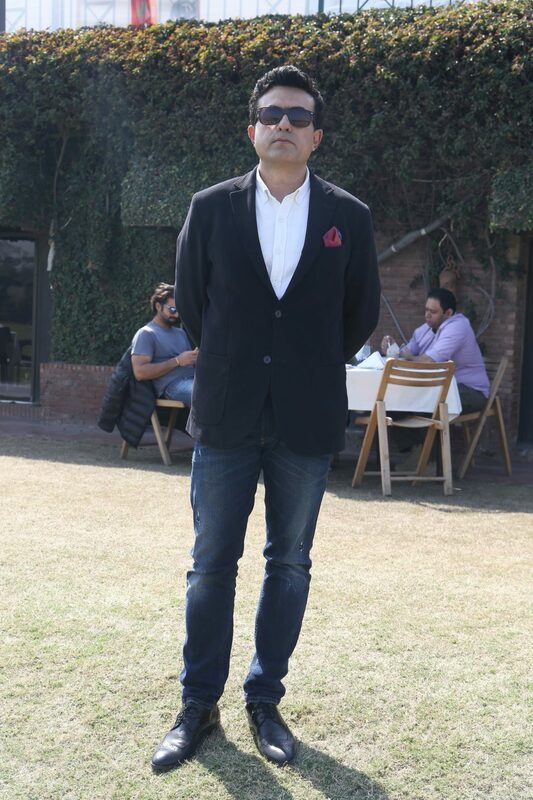 PR was managed by Centaur One. 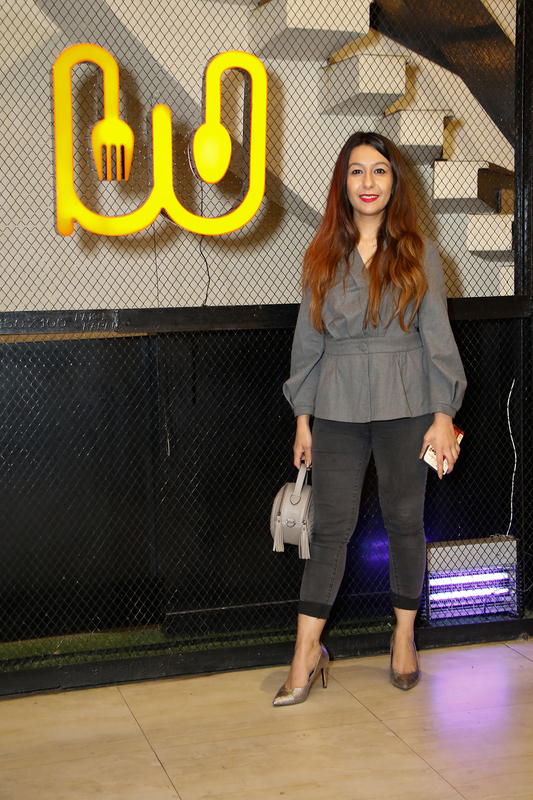 Dhaba Food Festival jointly presented by Beach Luxury Hotel and Event Crafters will be a two-day event all set to take place on 6th and 7th April 2019, recreating eclectic roadside dining on one platform, hosting 50+ food stalls, live music, fun-filled activities and much more! 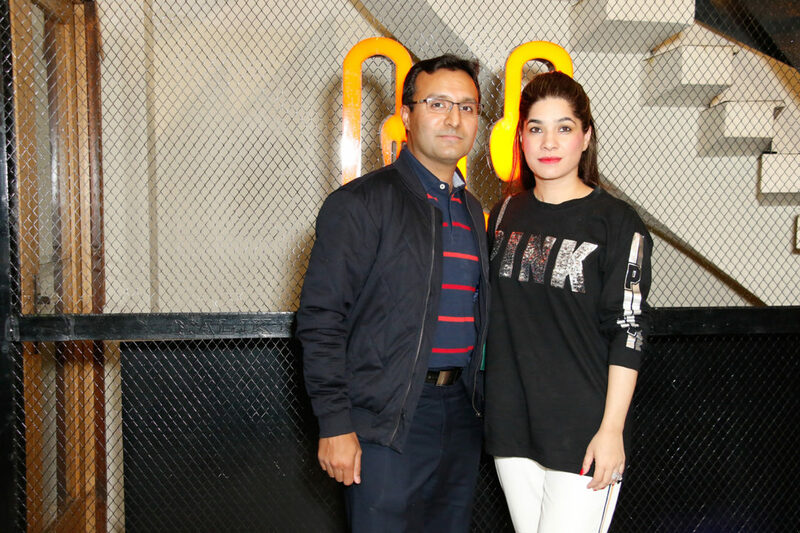 With a vibrant ambience and finger-licking food varieties this festival premieres street-food offerings and entertainment, featuring well known dhaba eateries not only from Pakistan but international dhaba cuisines as well and live concerts to be performed by well-known singers. 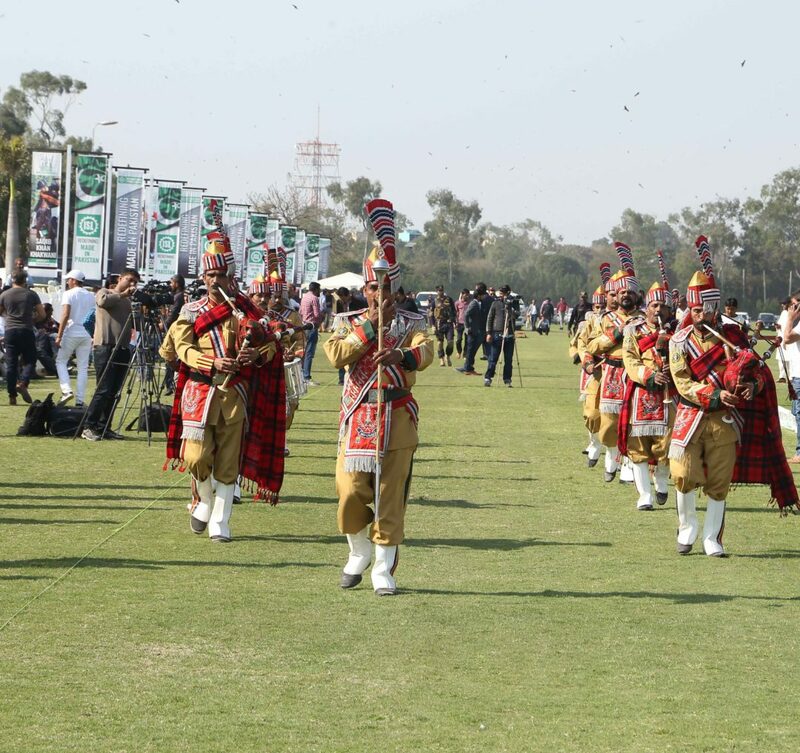 Visitors will be able to see traditional dances and hear folk instrumentals, have kids participating in an arena set up especially for them, avail of free boat rides and do kite flying at the sea-front. 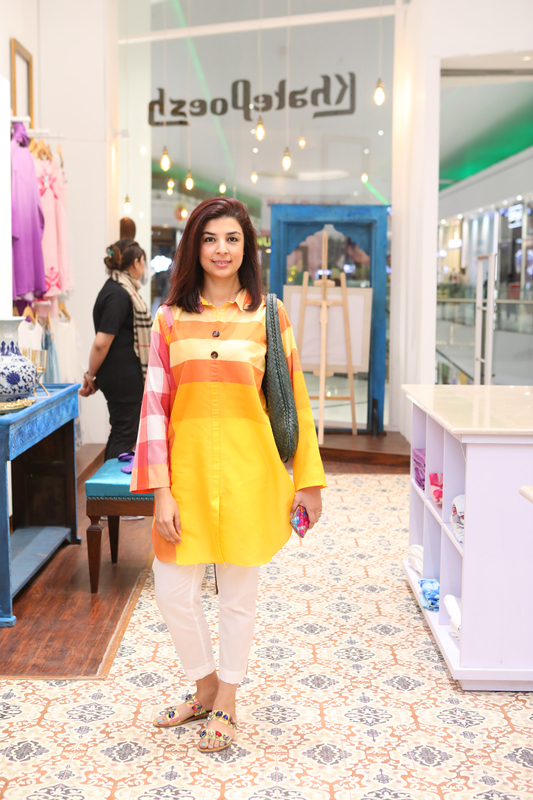 With basant festivities thrown in, there will also be stalls of mehndi, bangles, dresses, etc so all kinds of retailers and small enterprise owners will have the opportunity to showcase their wares. 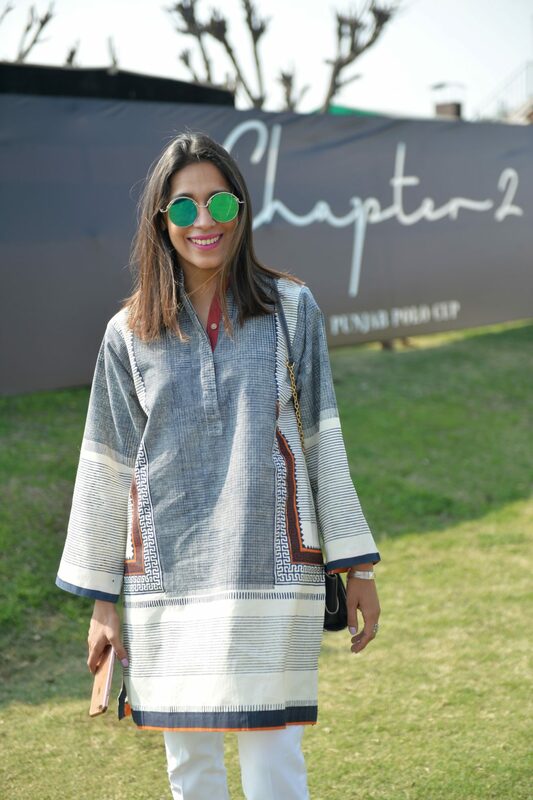 So go crazy at this festival, and save the dates! 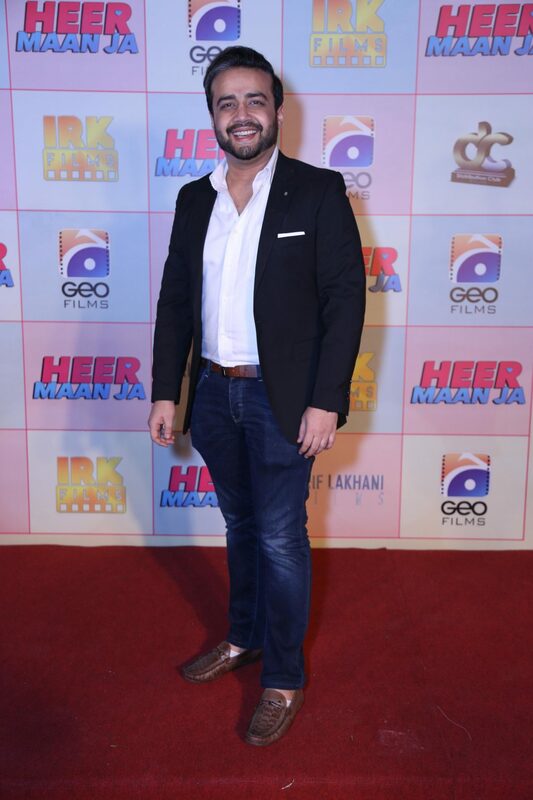 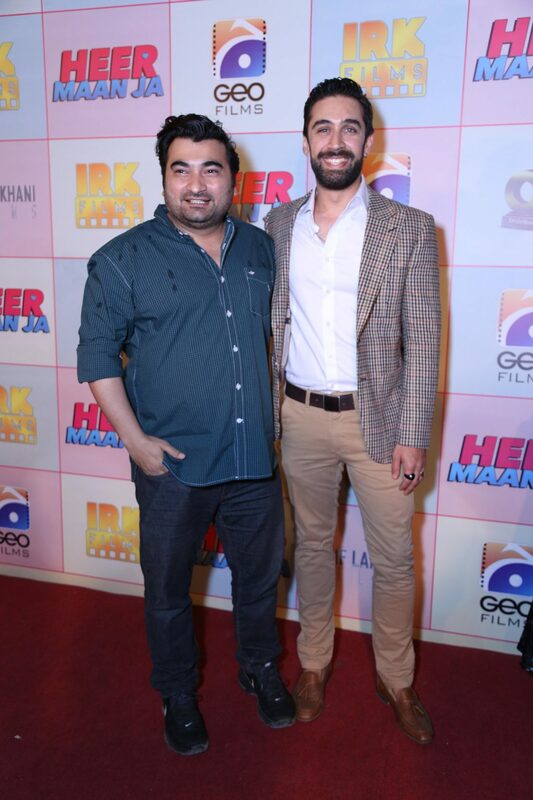 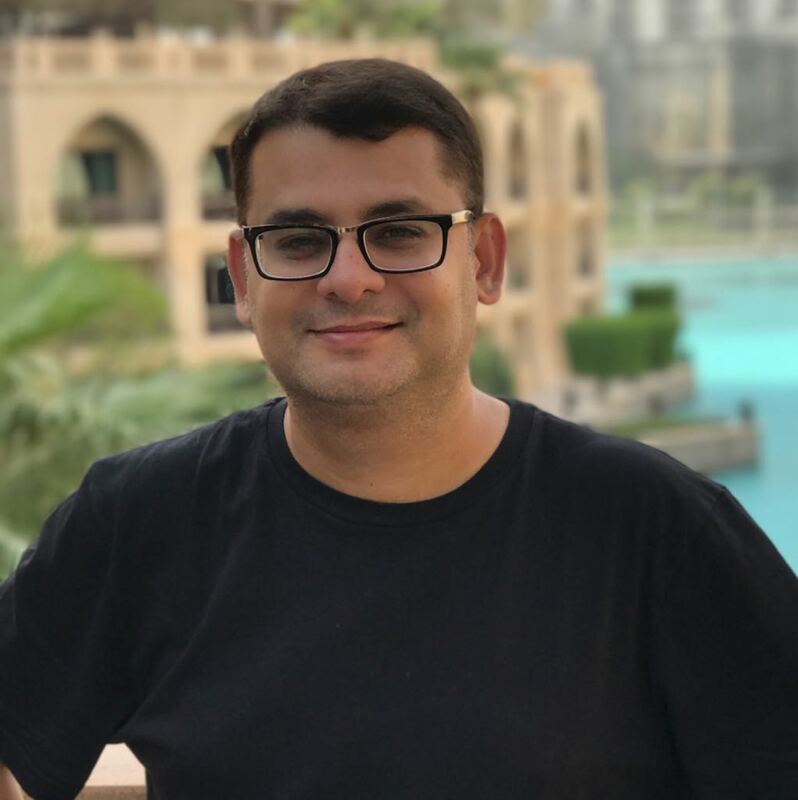 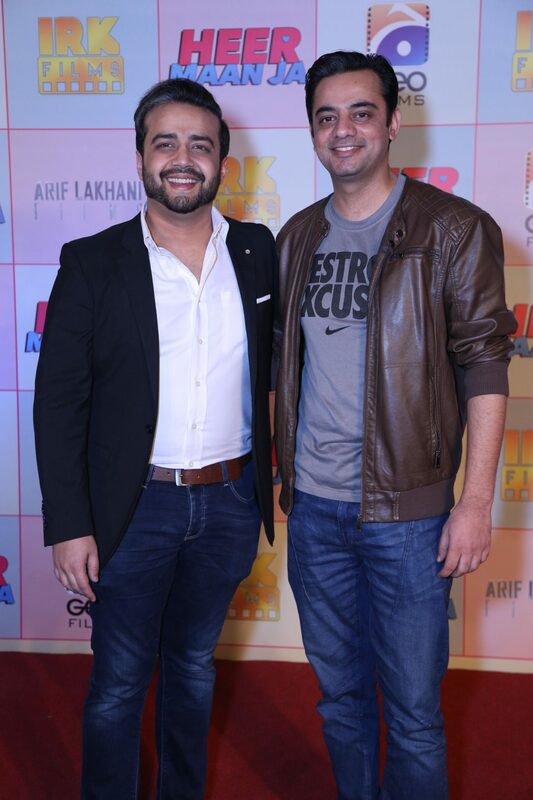 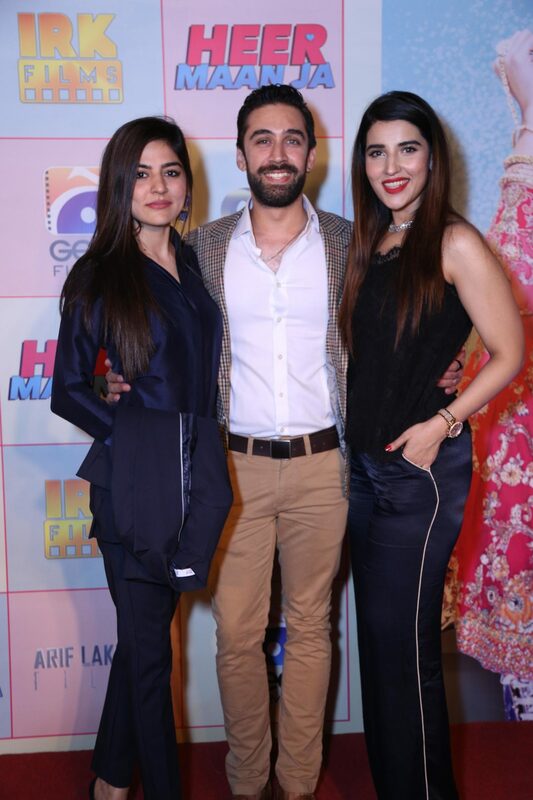 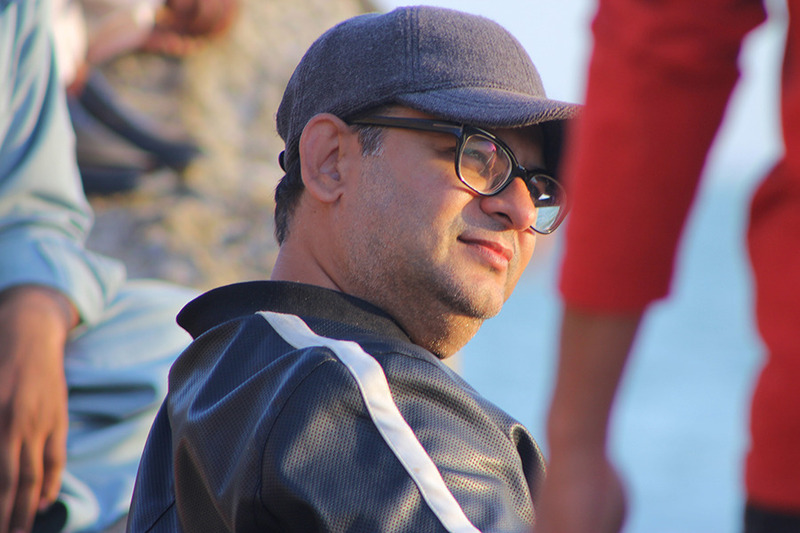 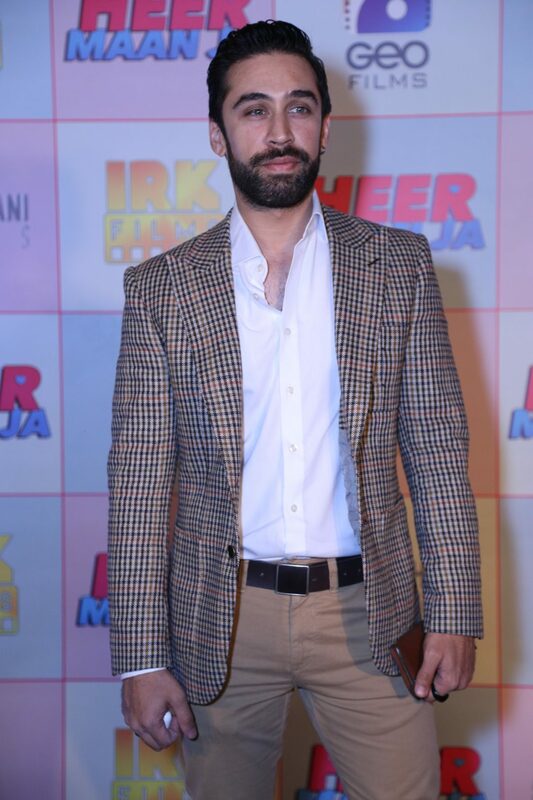 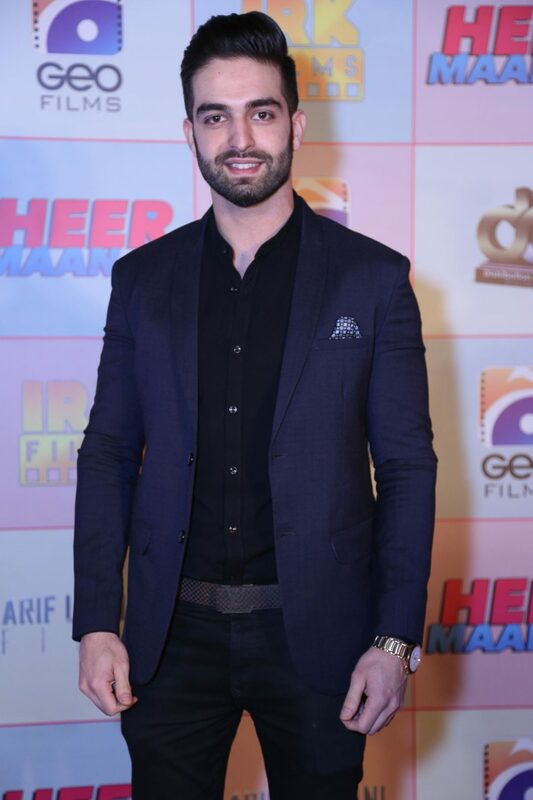 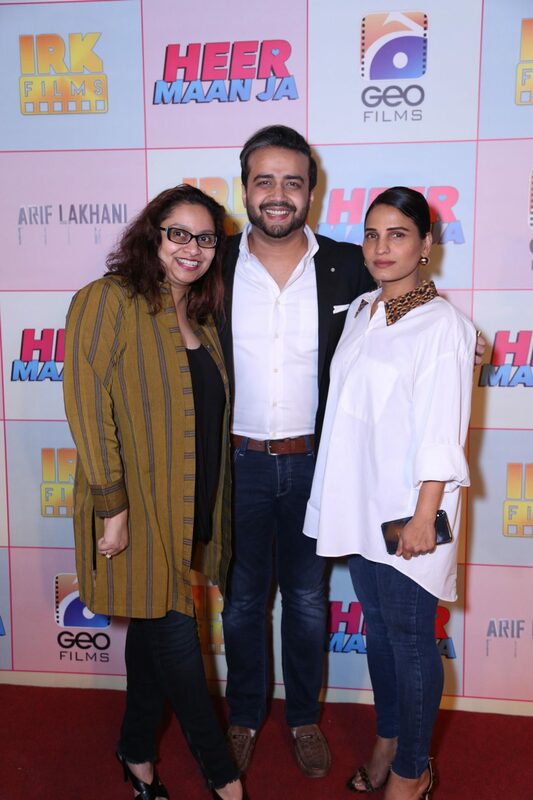 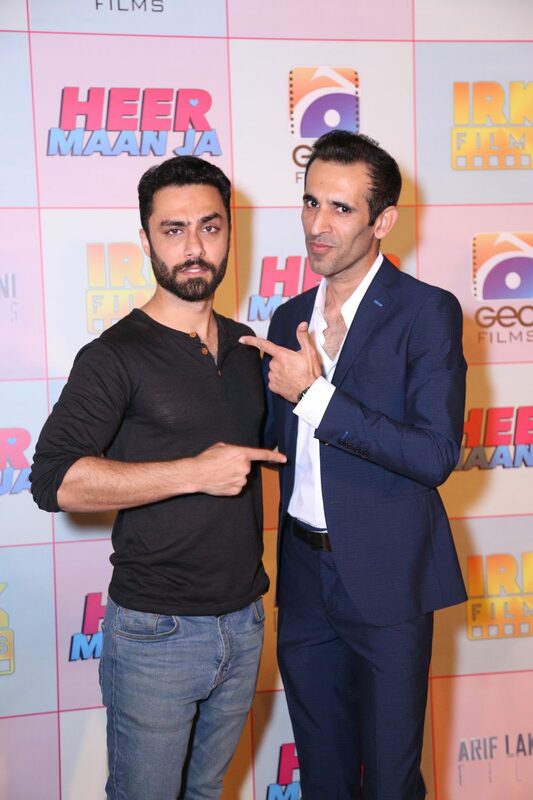 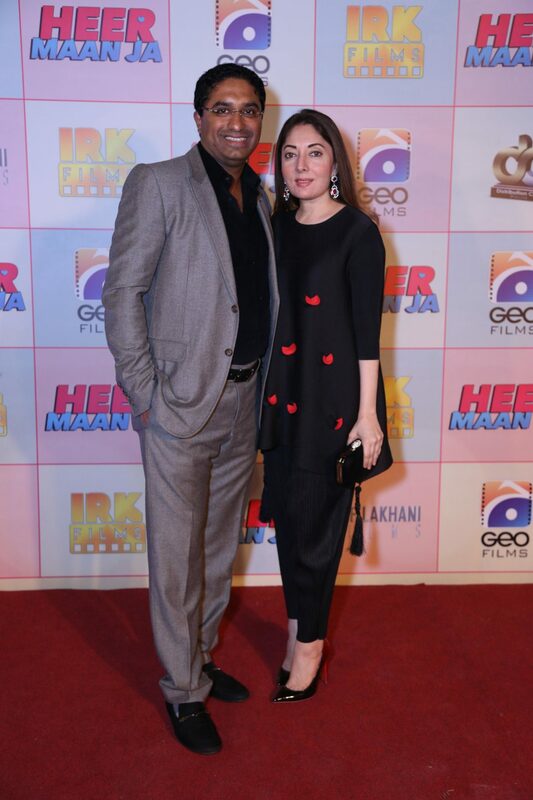 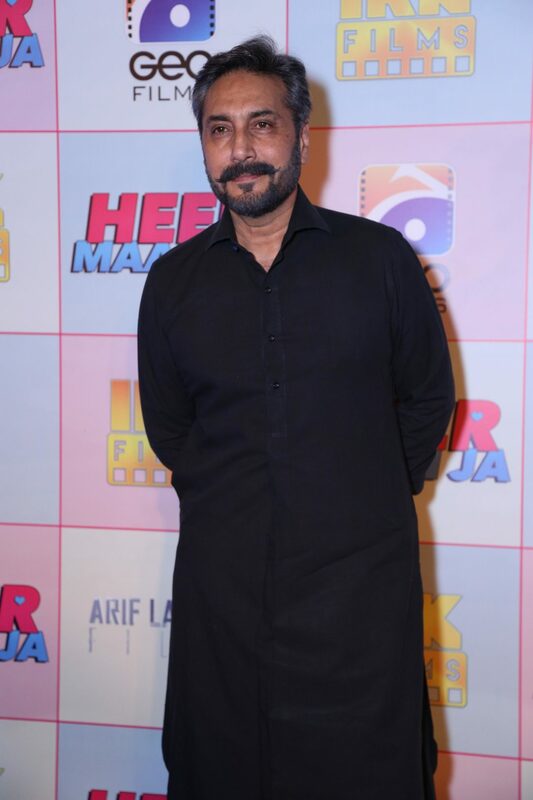 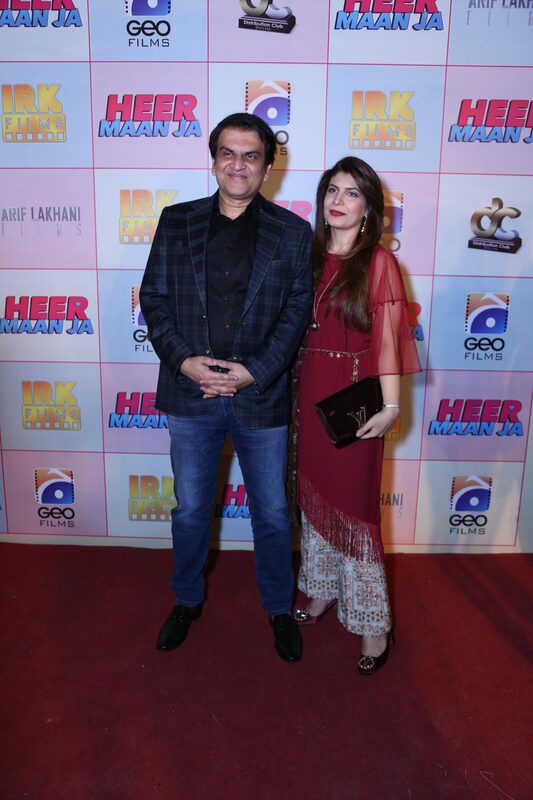 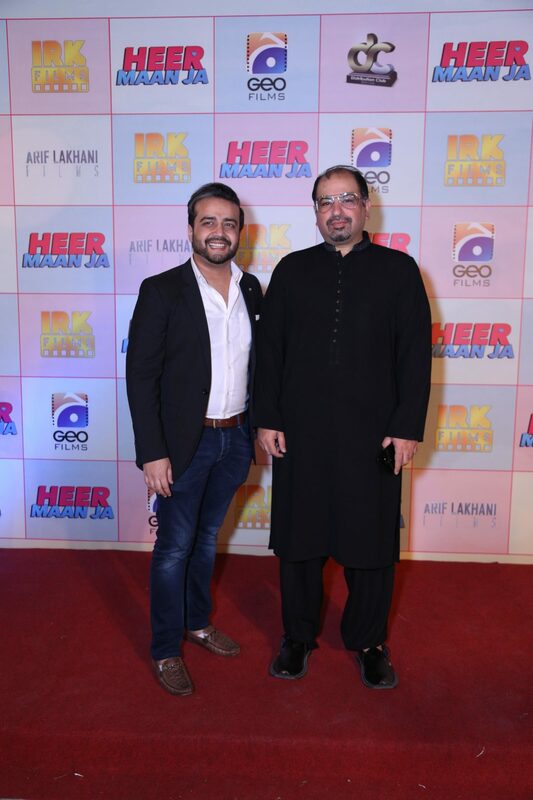 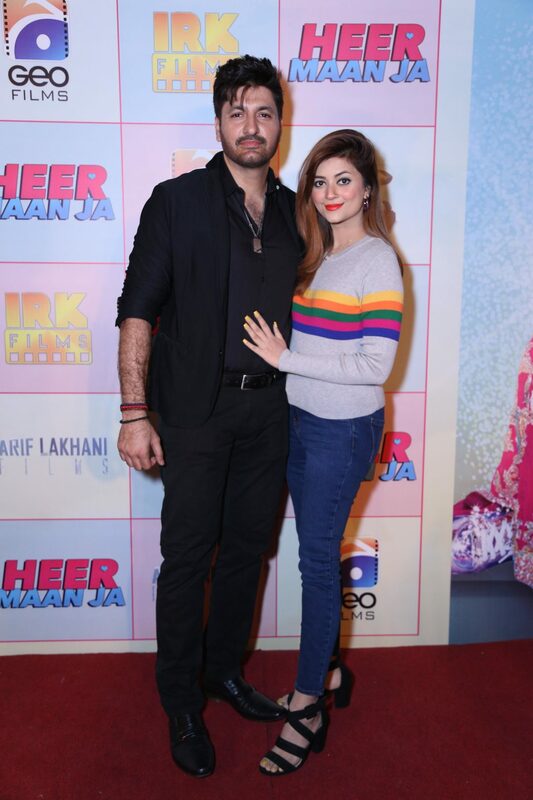 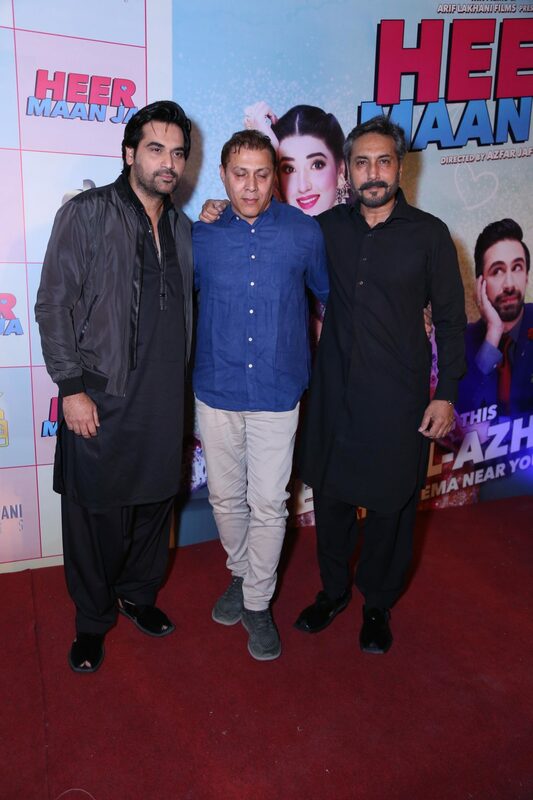 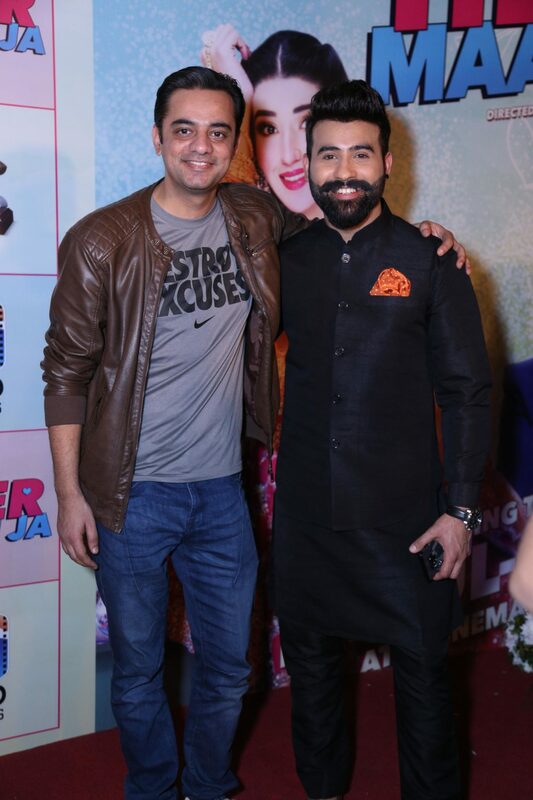 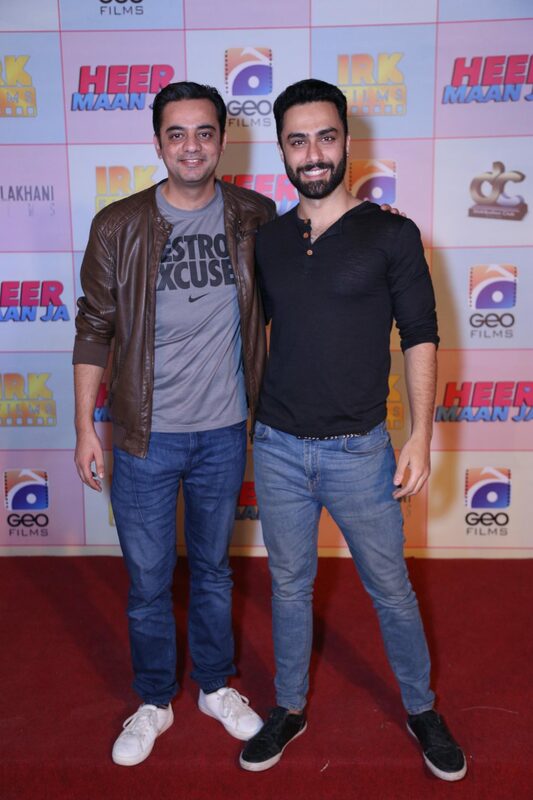 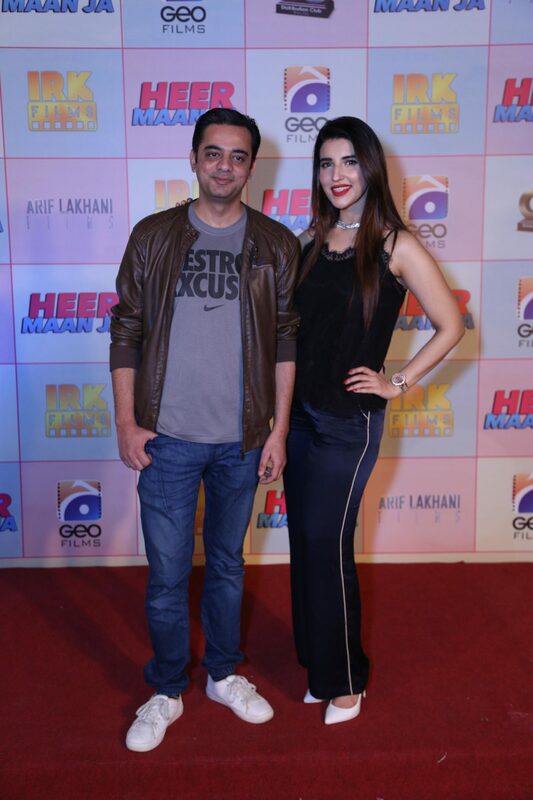 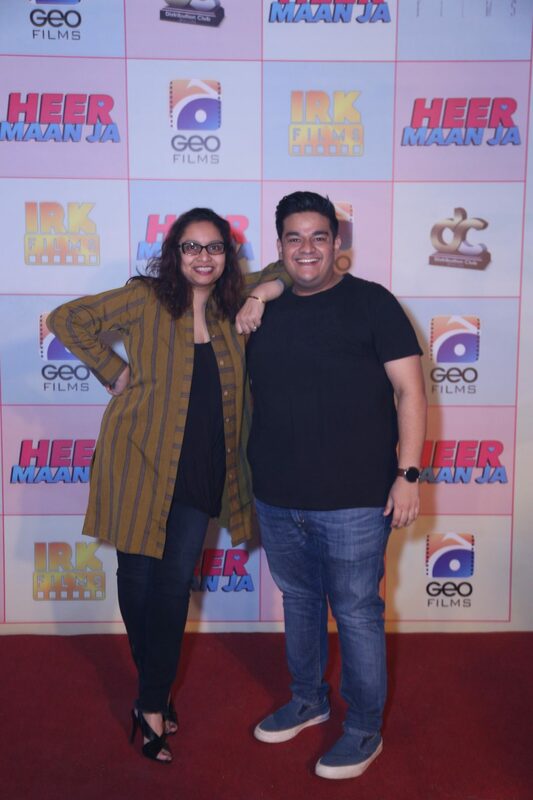 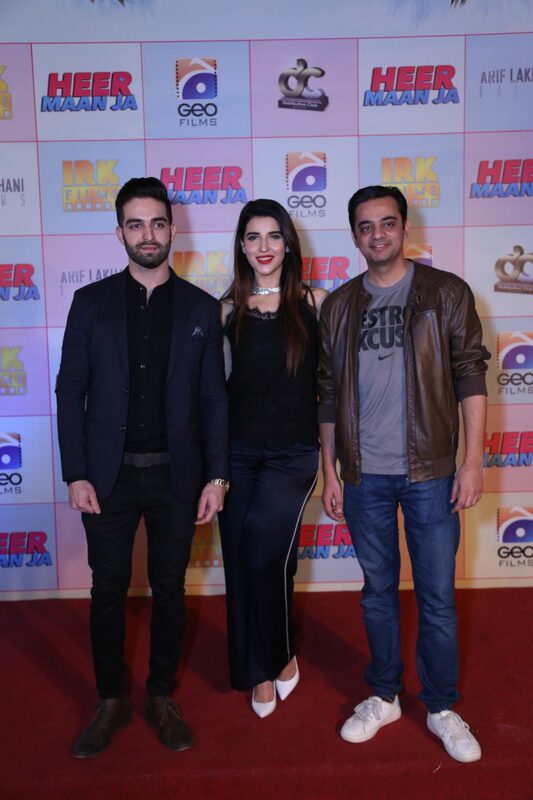 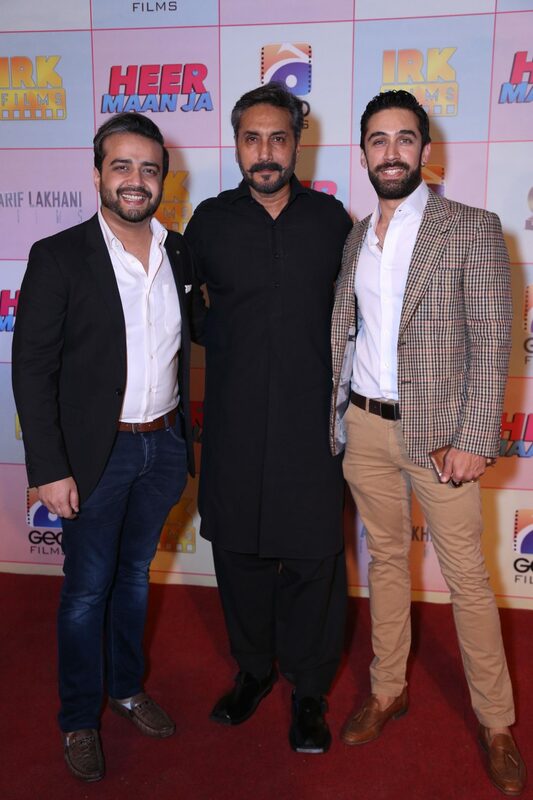 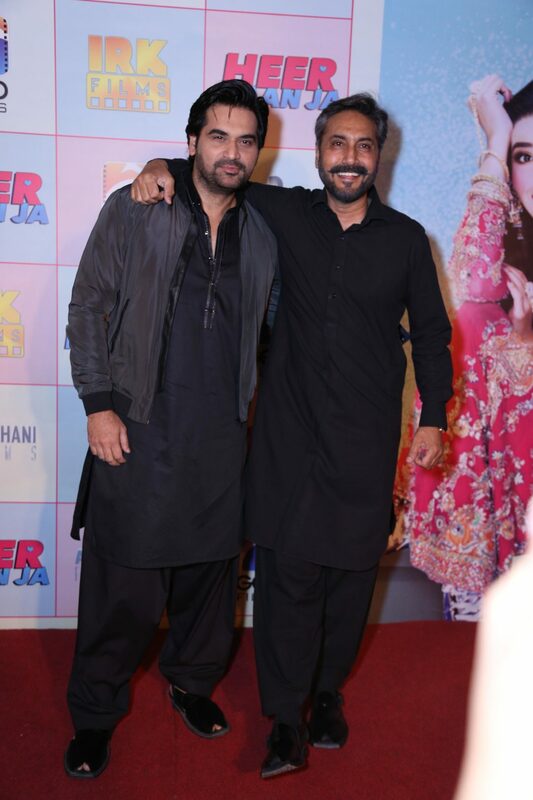 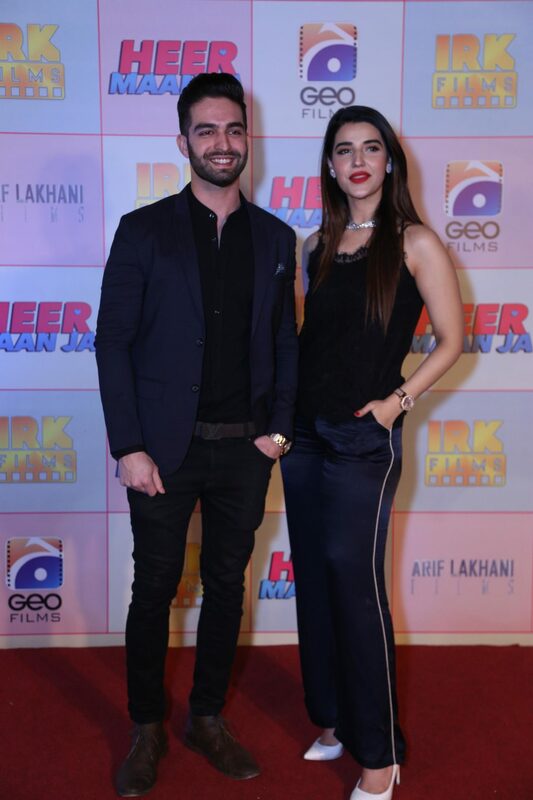 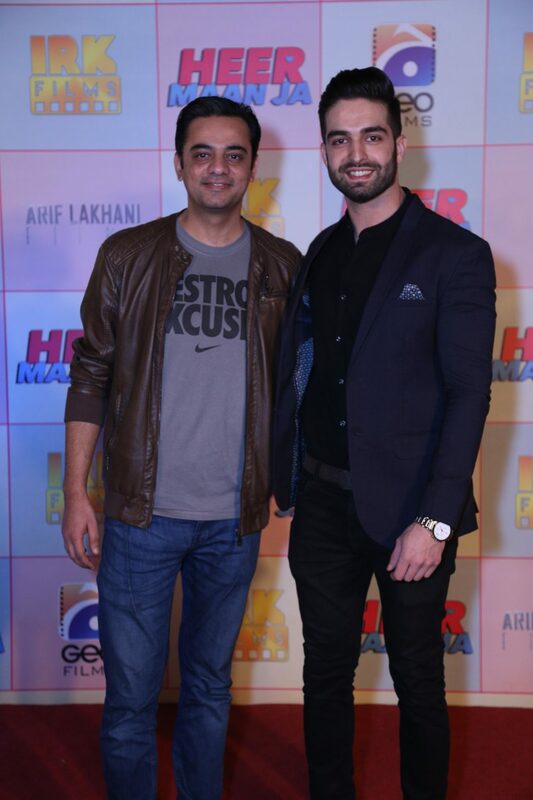 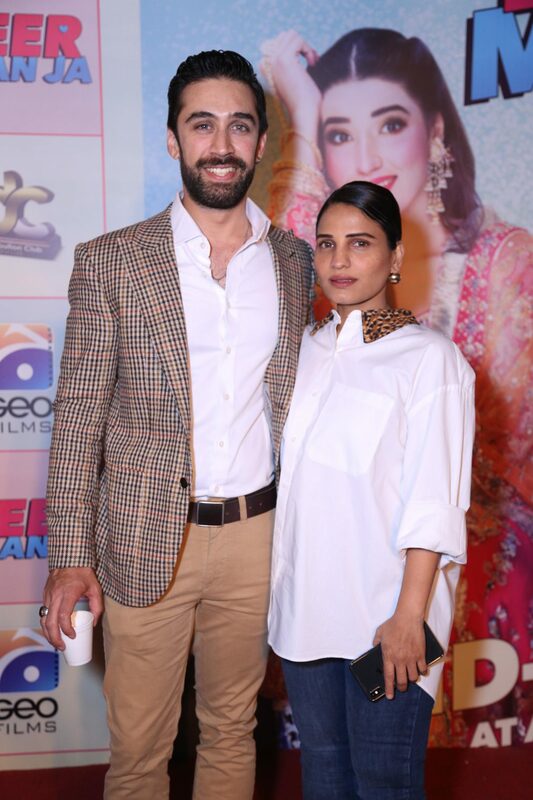 Haseeb Hassan, director par excellence, after giving us blockbuster television serials like Nannhi, Diyar-e-DIL, Mann Mayal & the 2018 hit feature film Parwaz Hai Junoon, has launched his own production house Hamdan Films and has confirmed that the much awaited telefilm, Laal will be the first project for his newly launched production house. 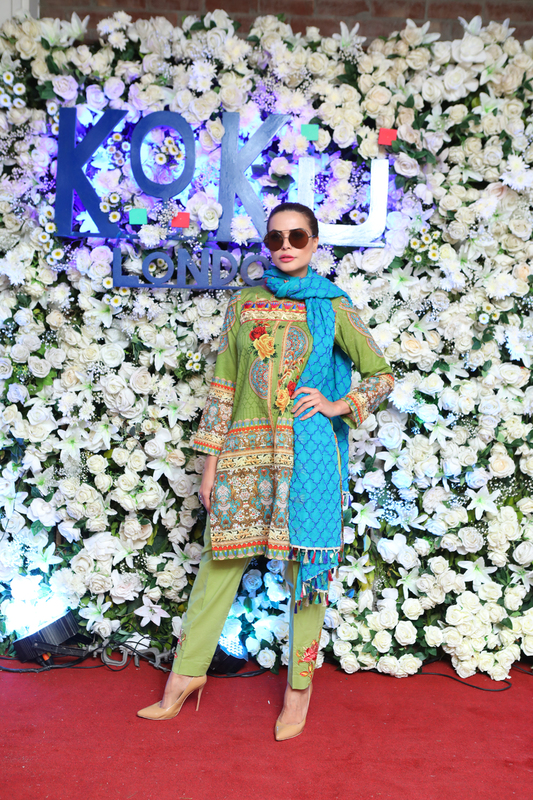 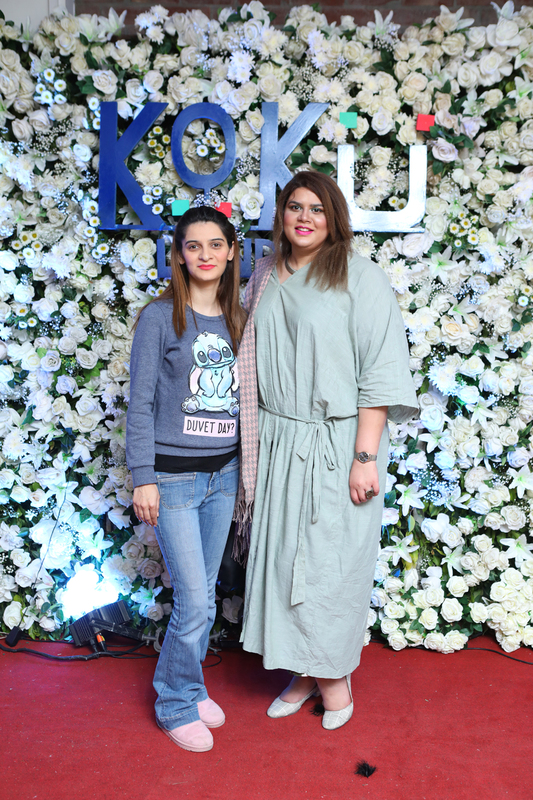 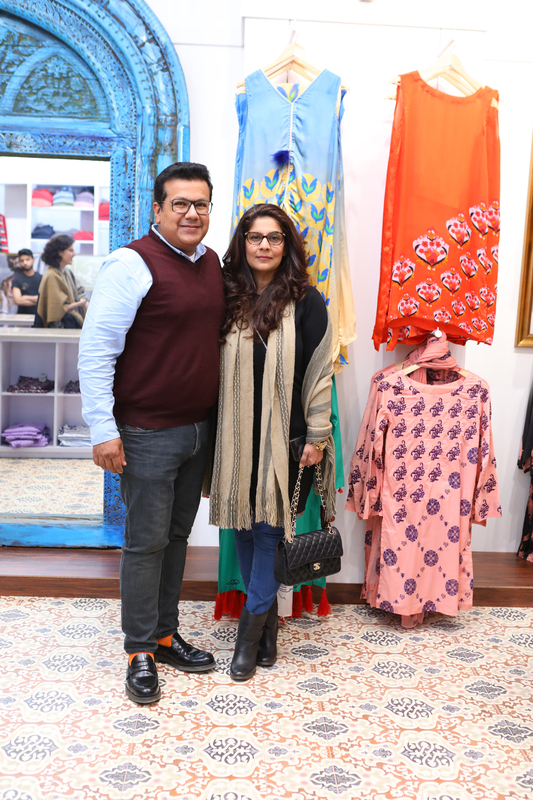 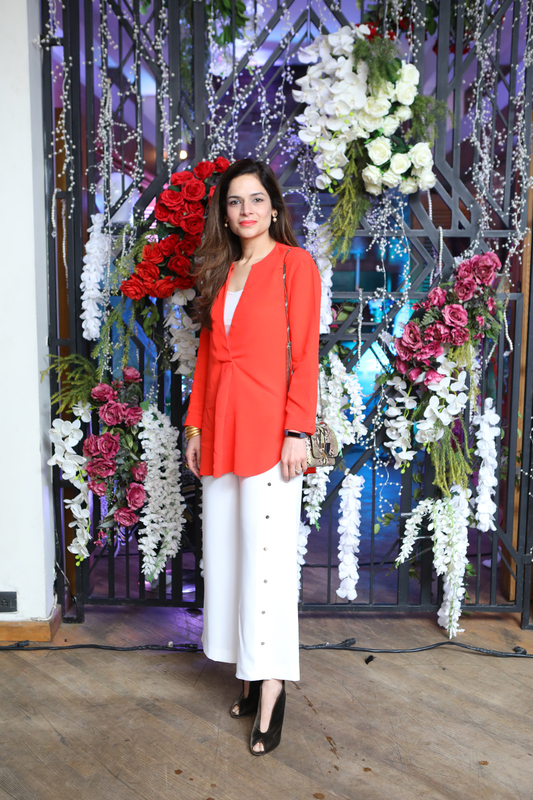 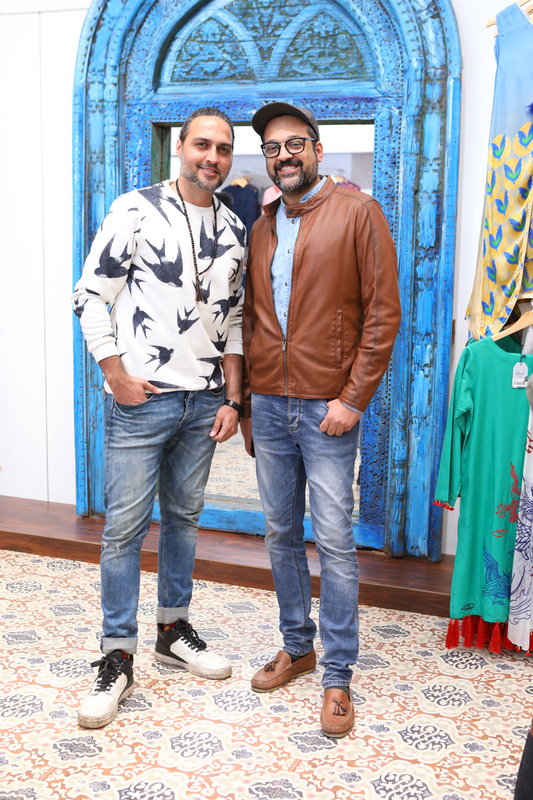 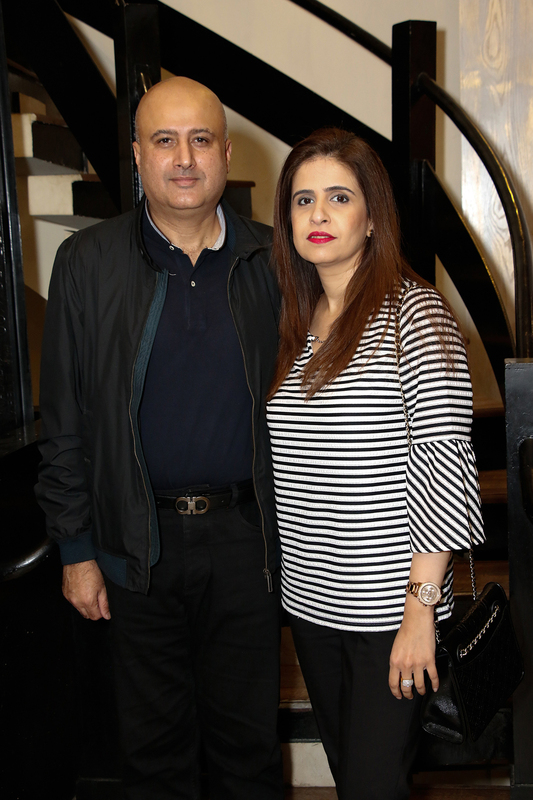 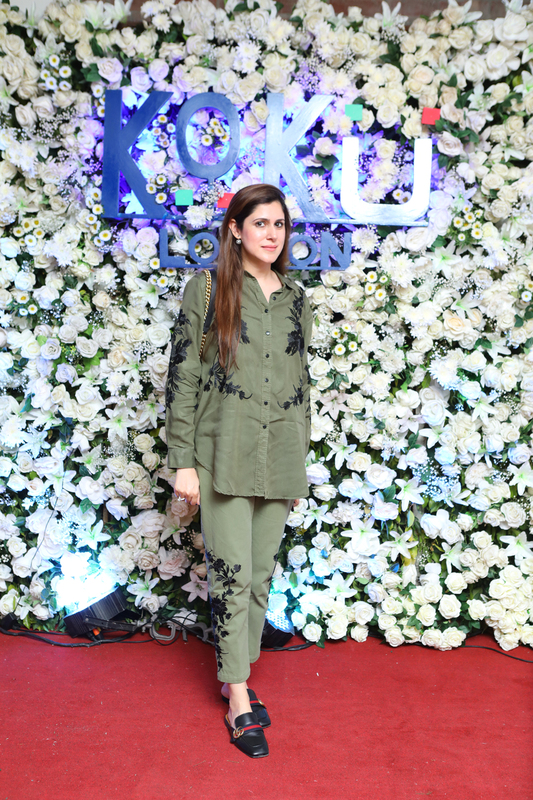 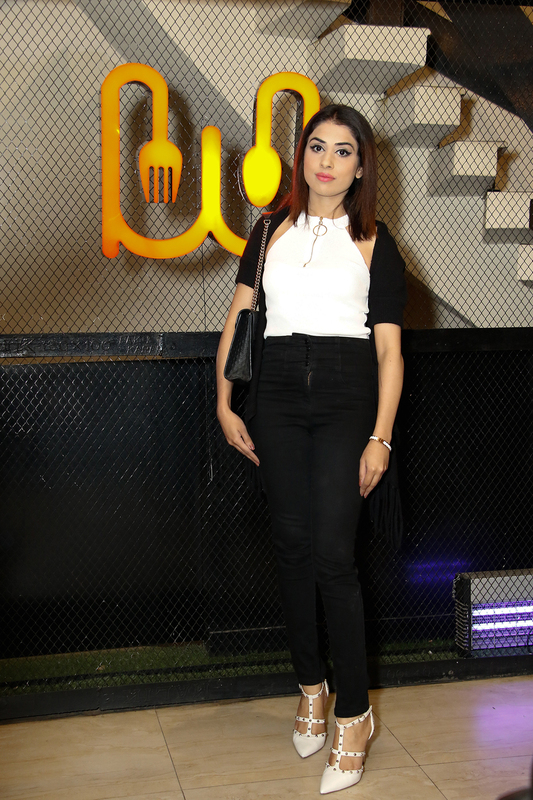 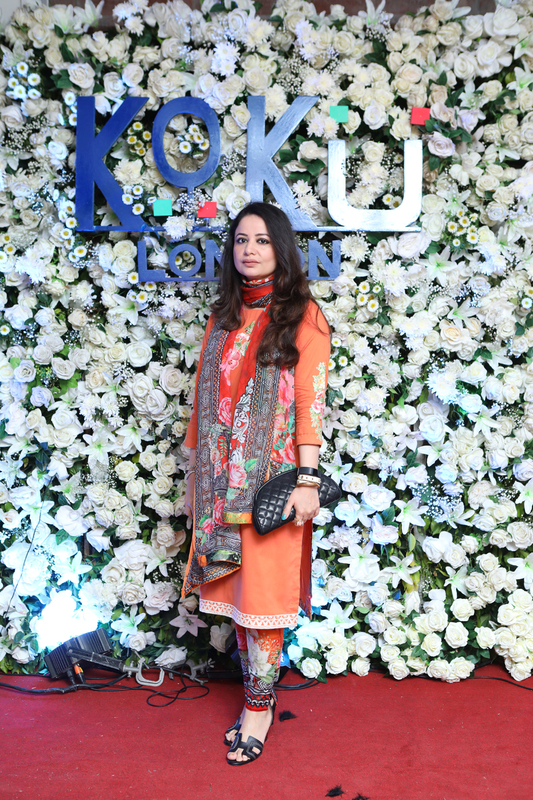 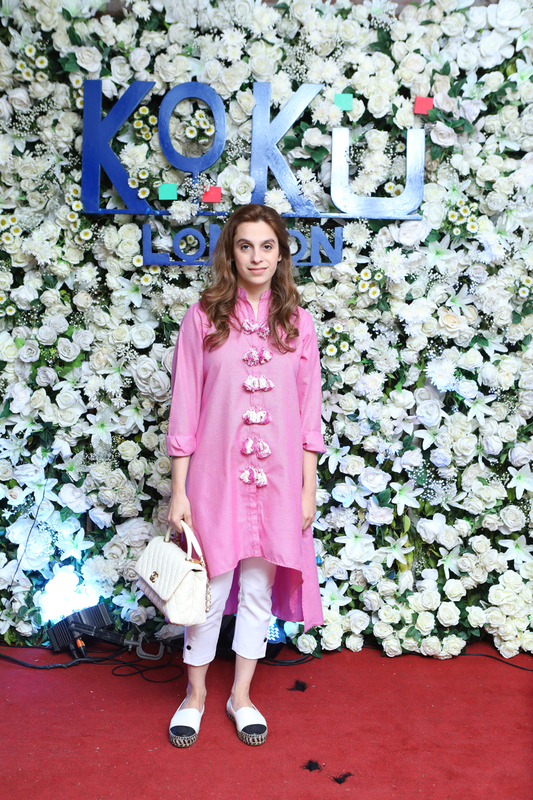 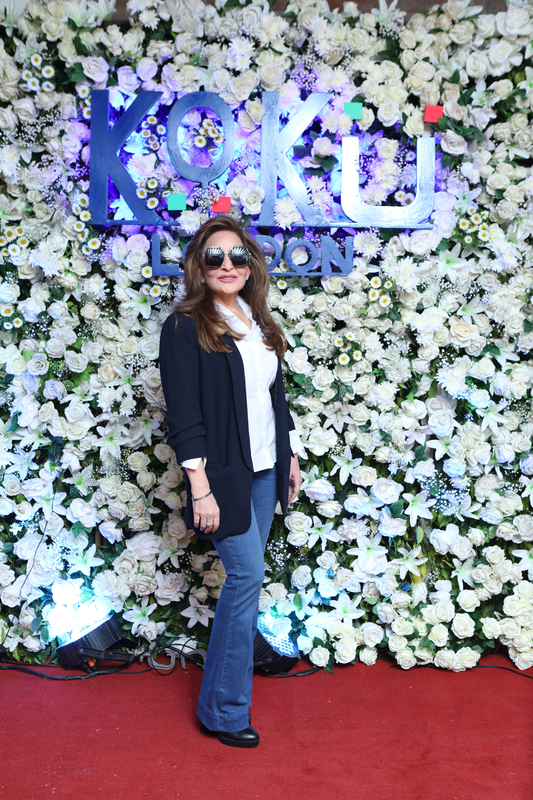 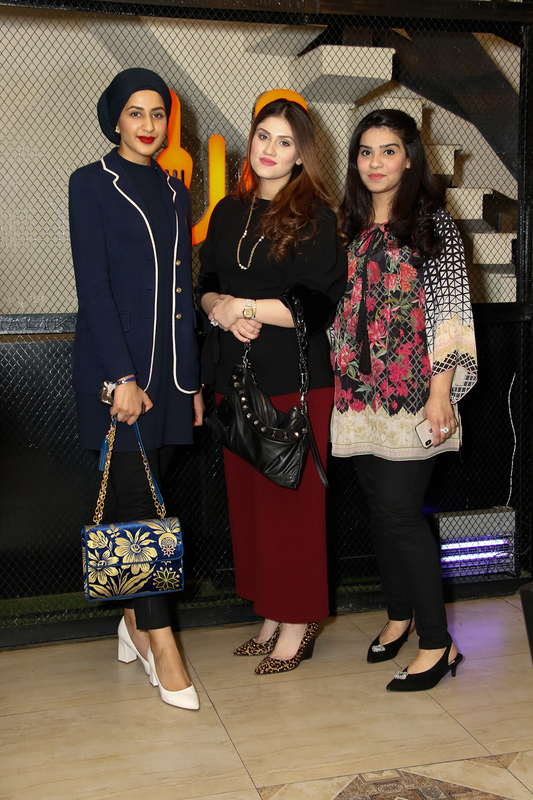 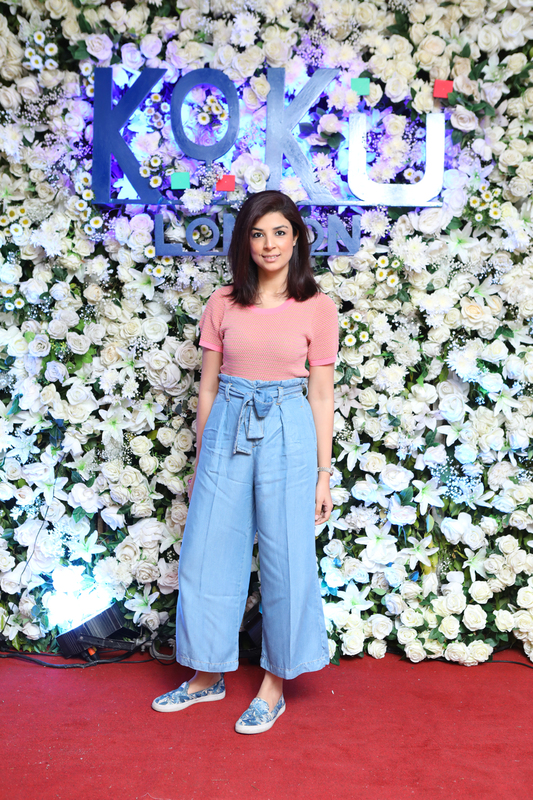 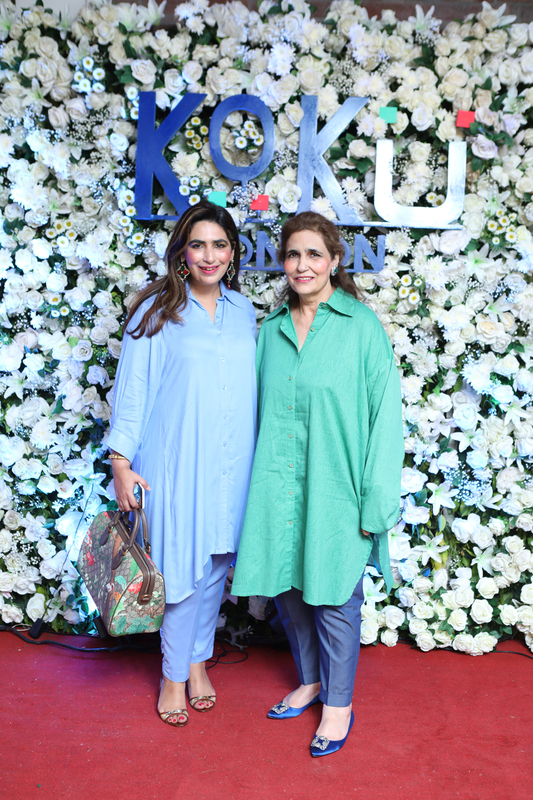 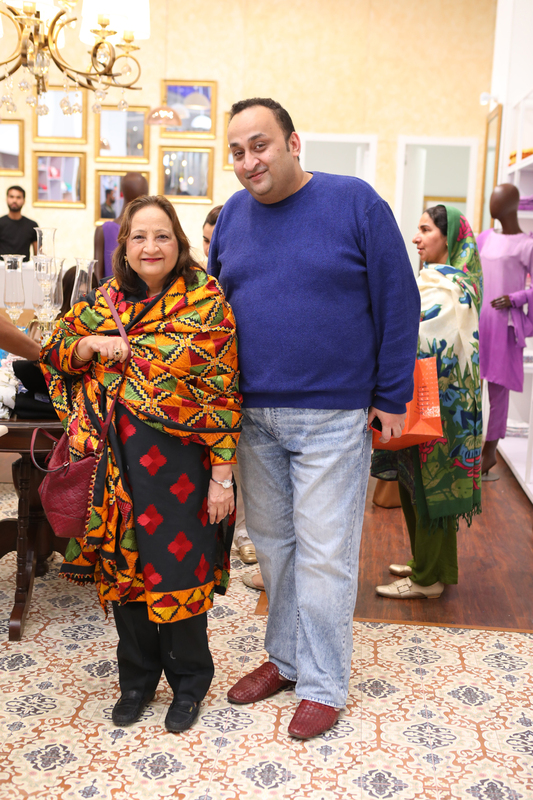 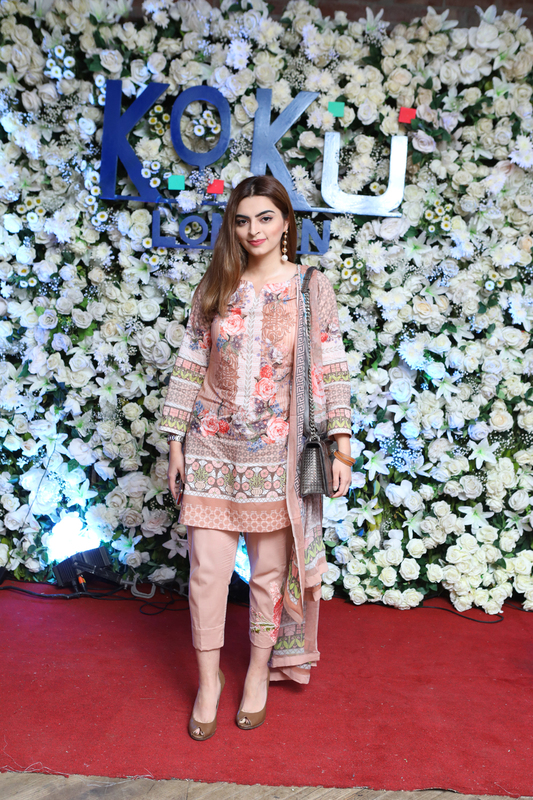 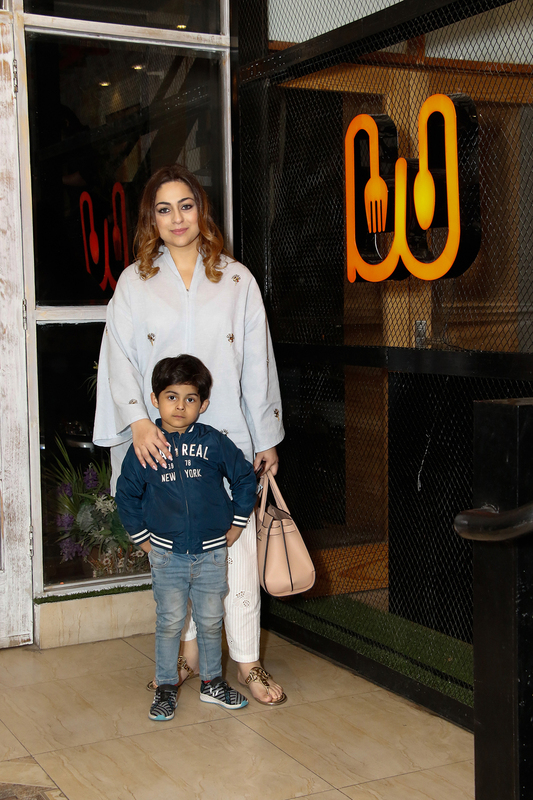 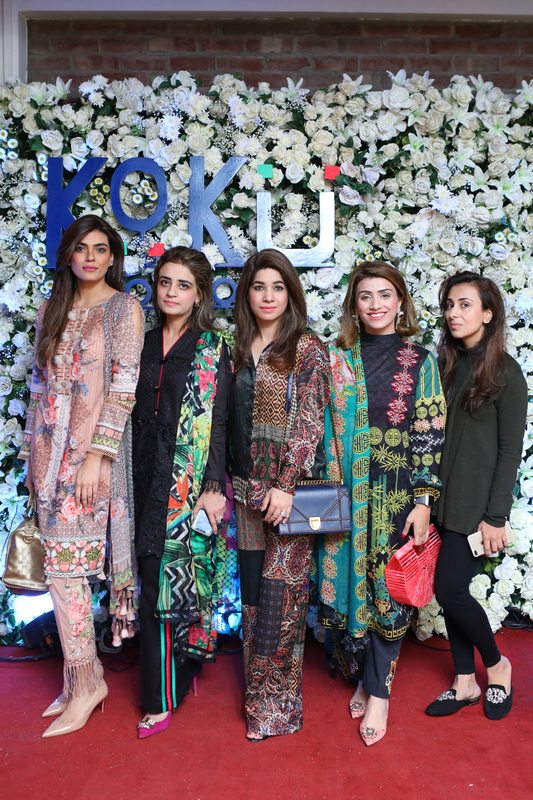 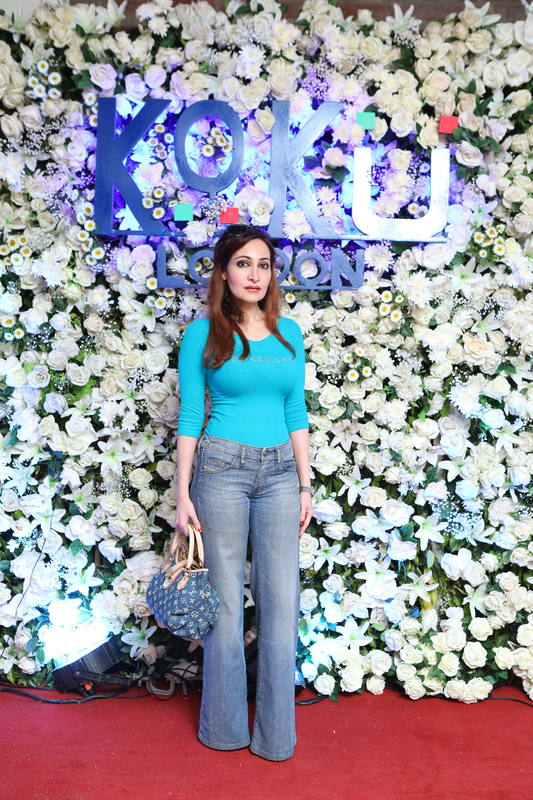 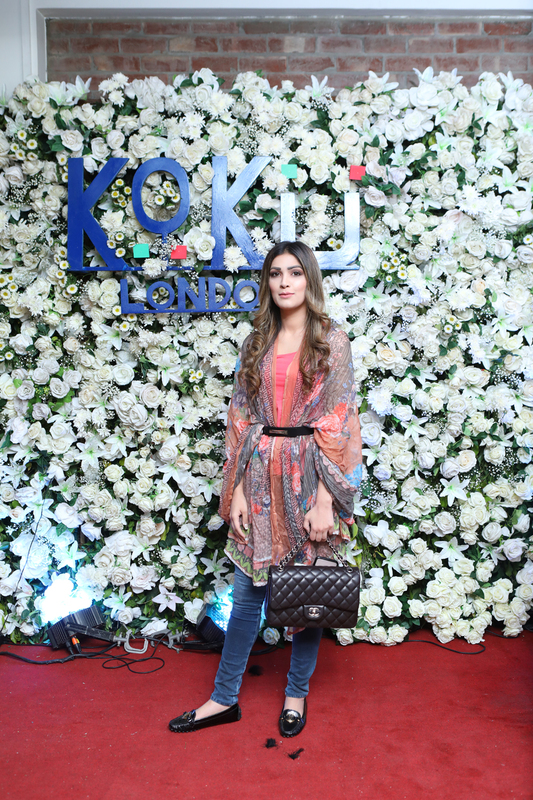 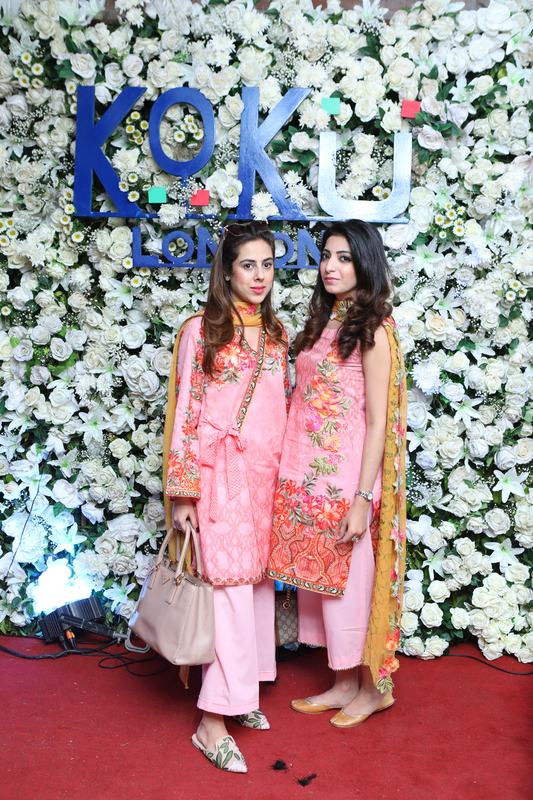 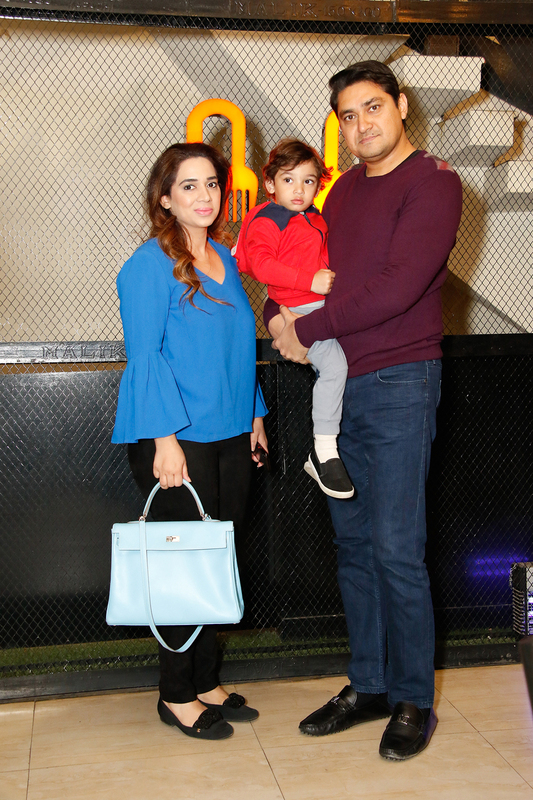 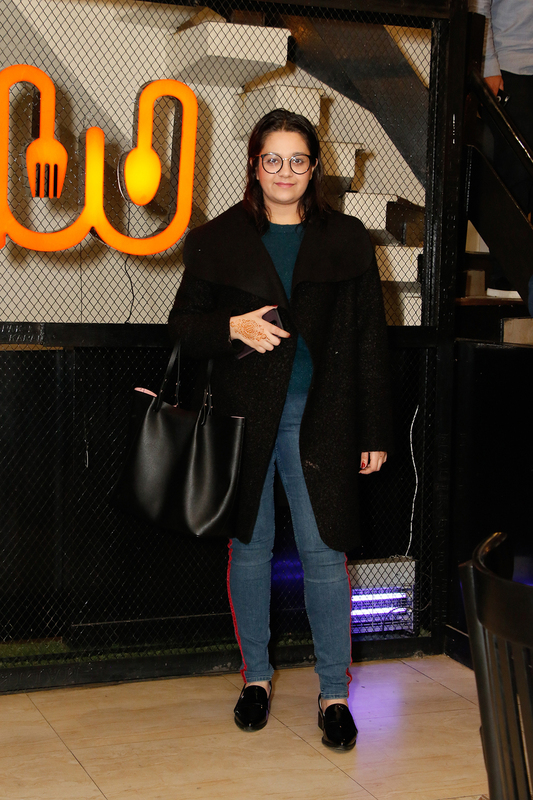 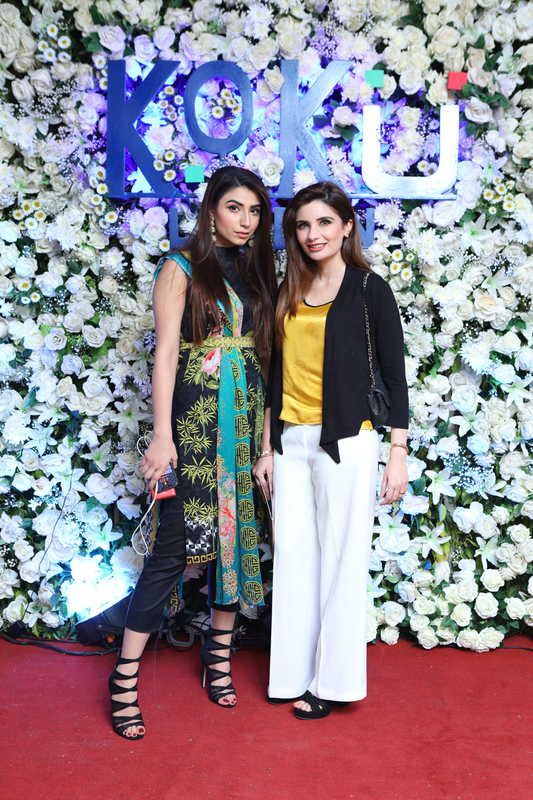 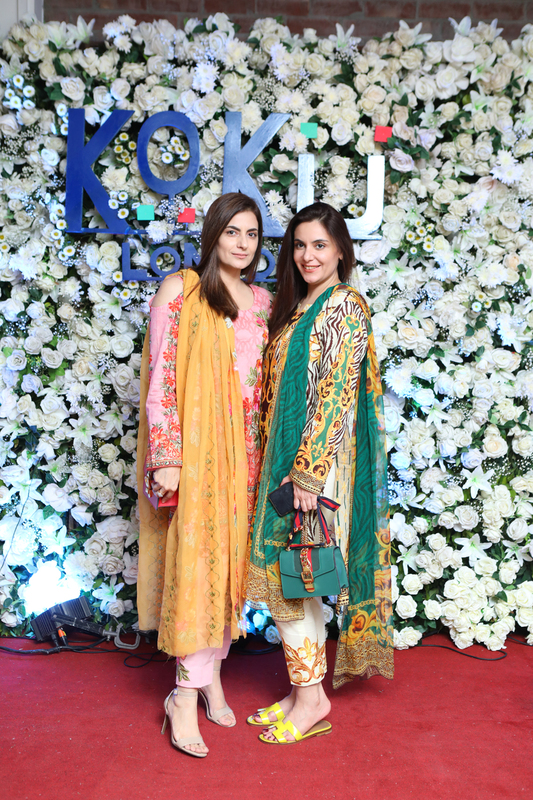 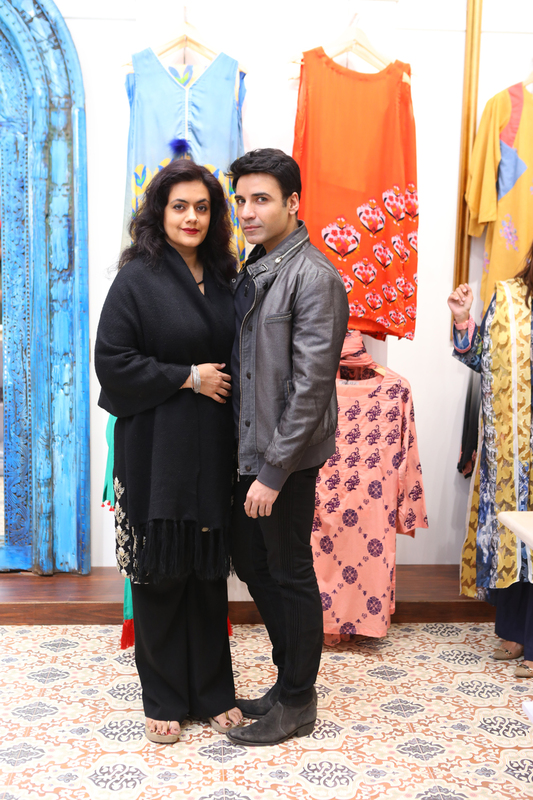 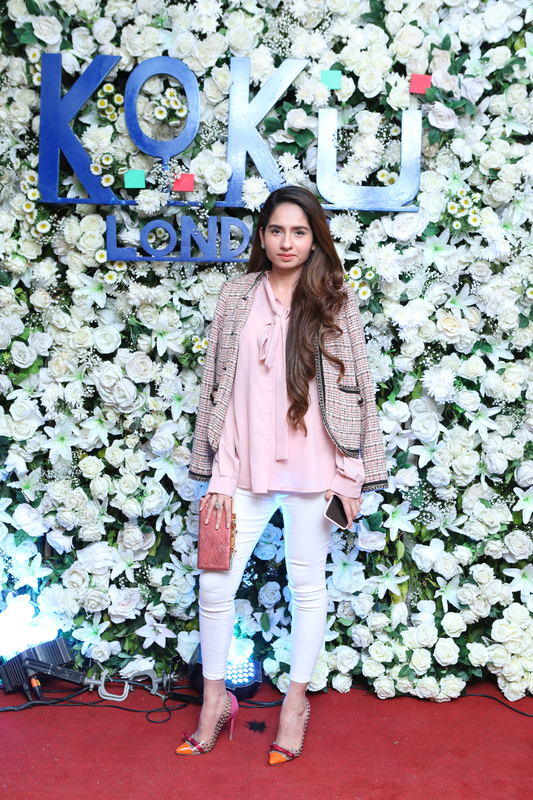 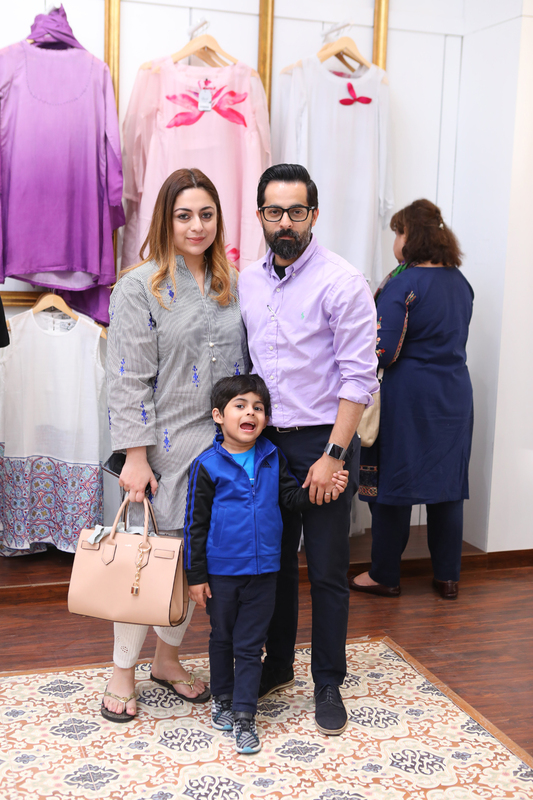 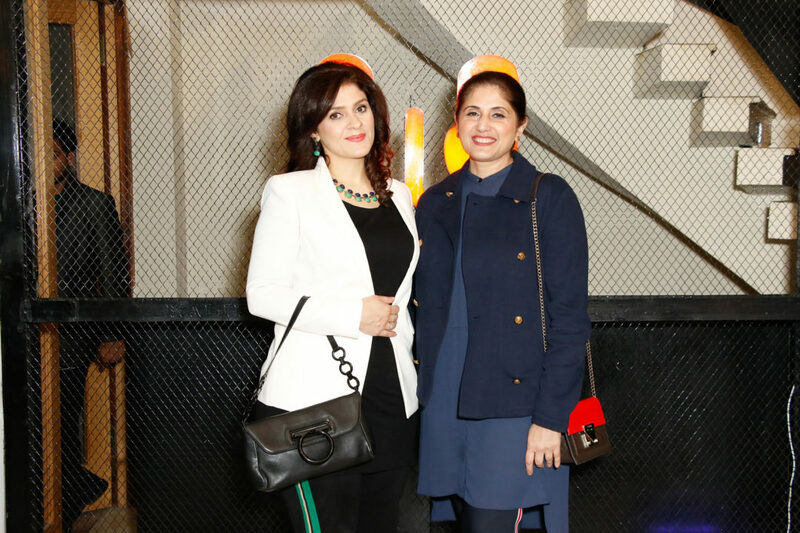 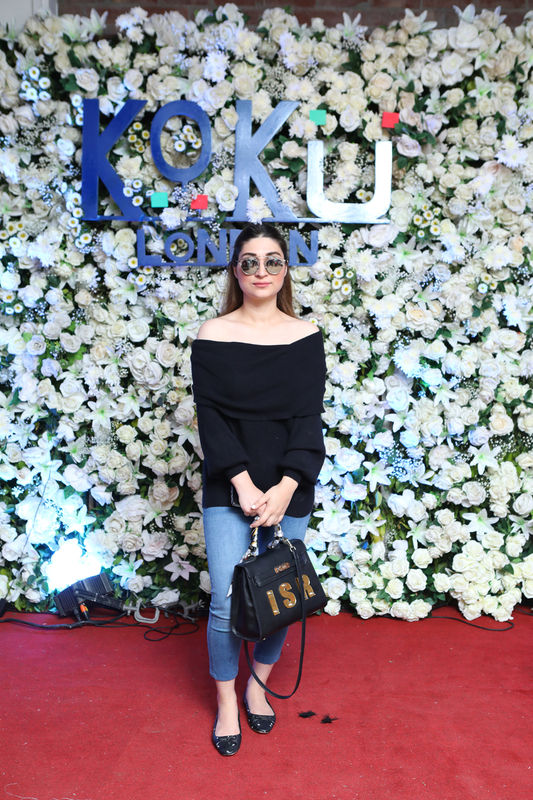 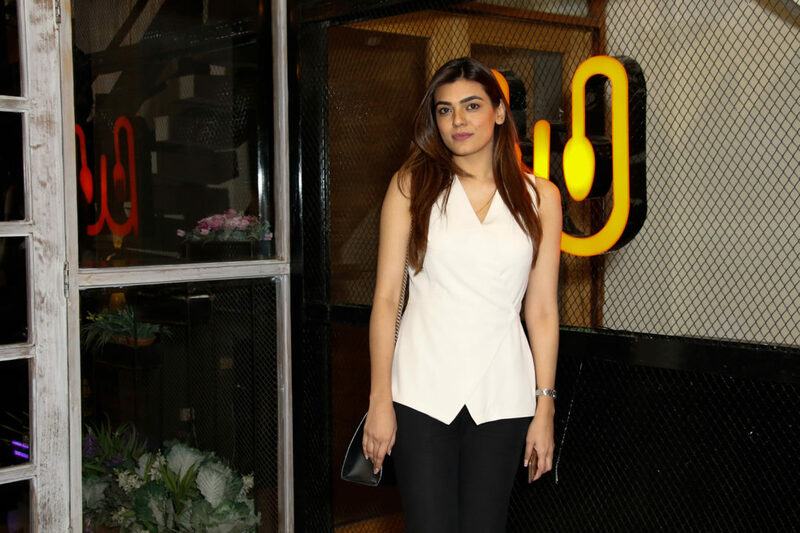 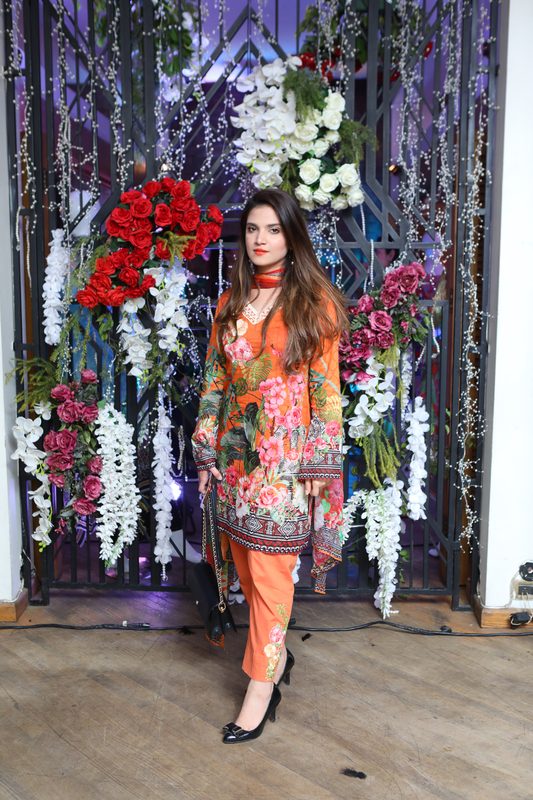 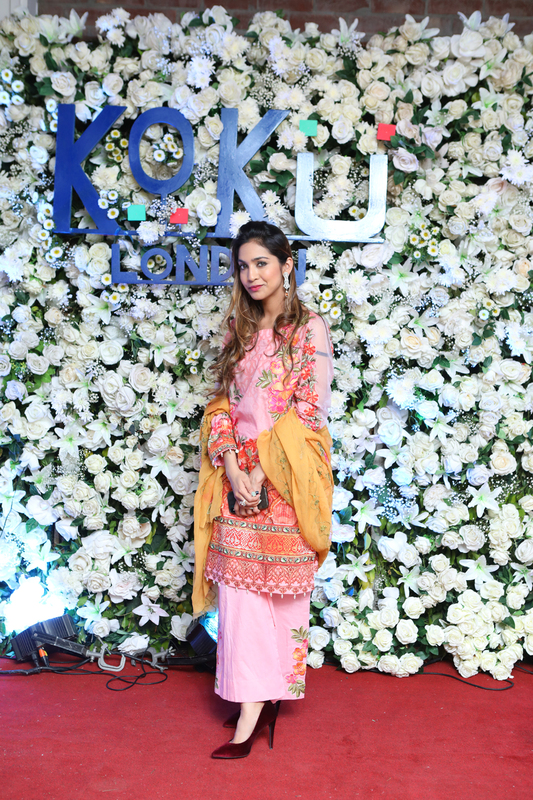 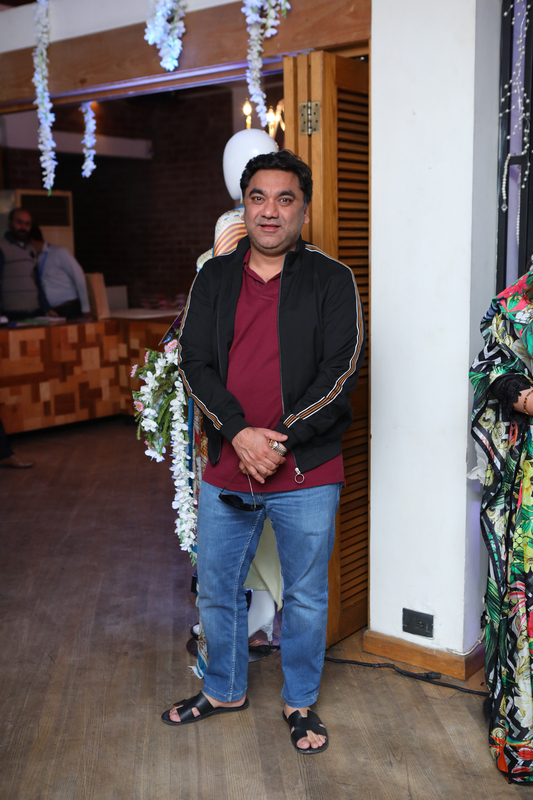 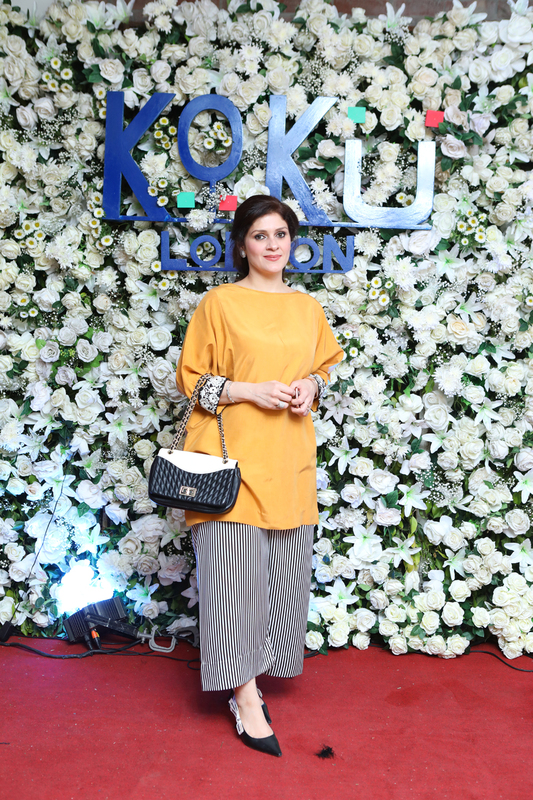 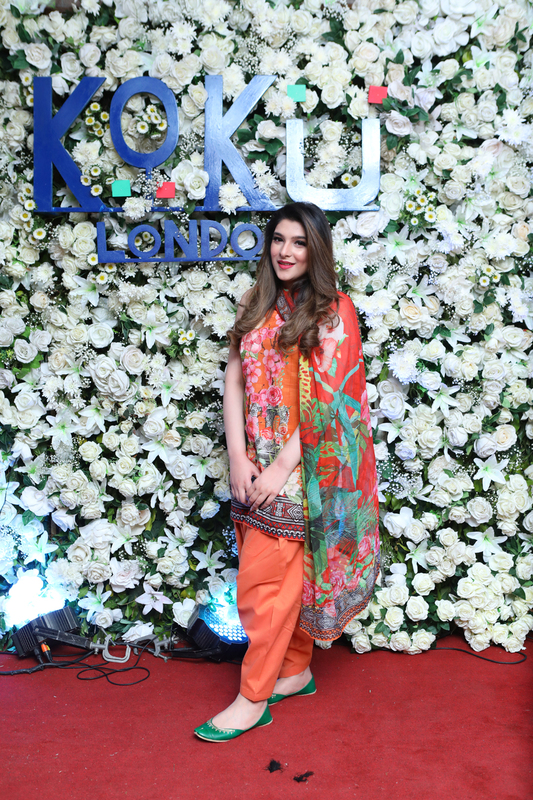 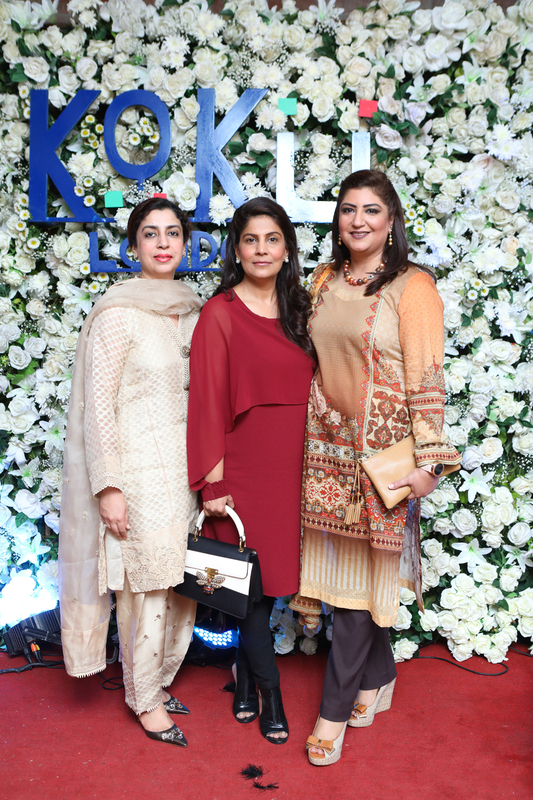 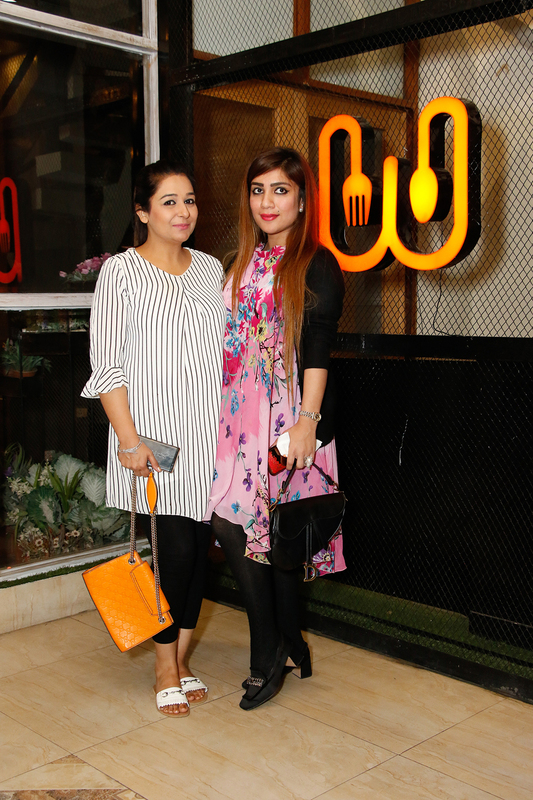 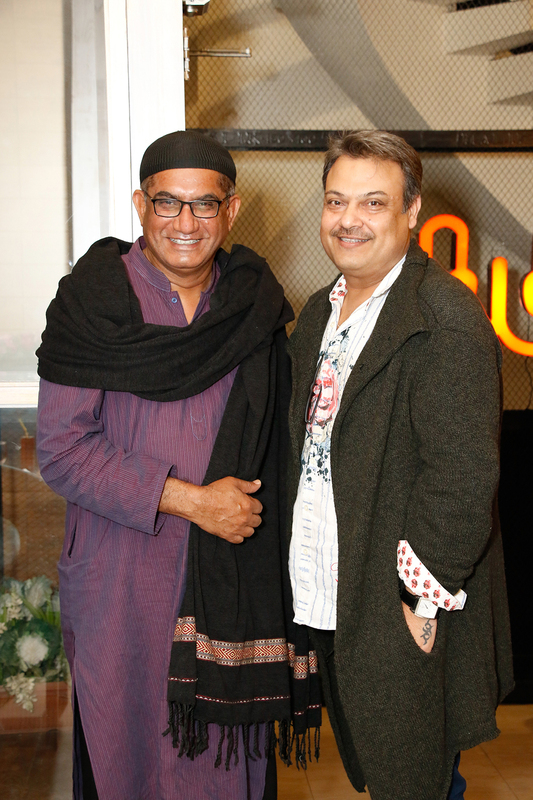 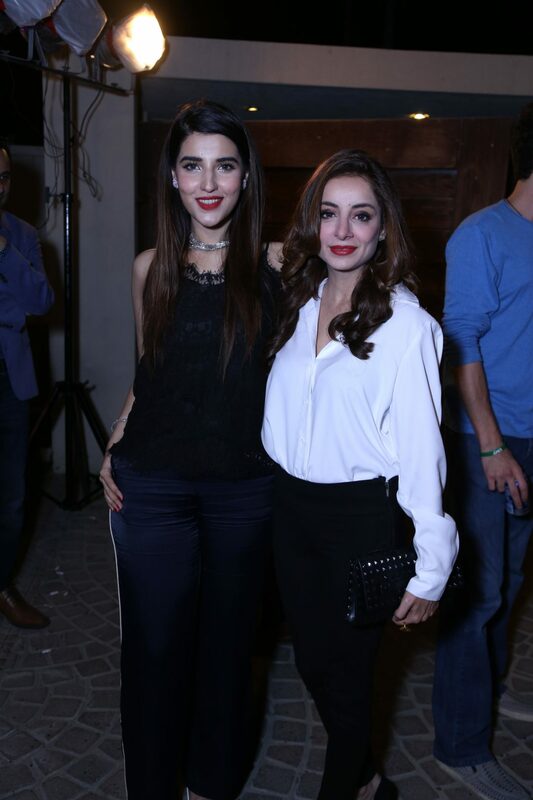 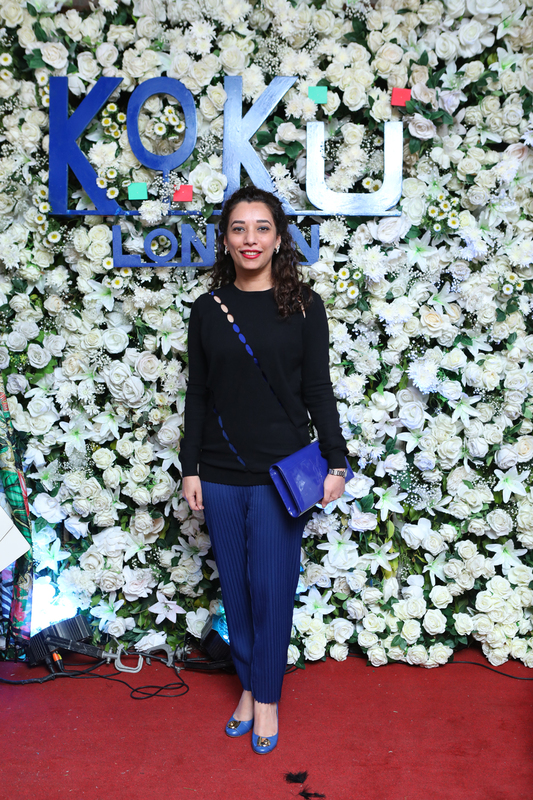 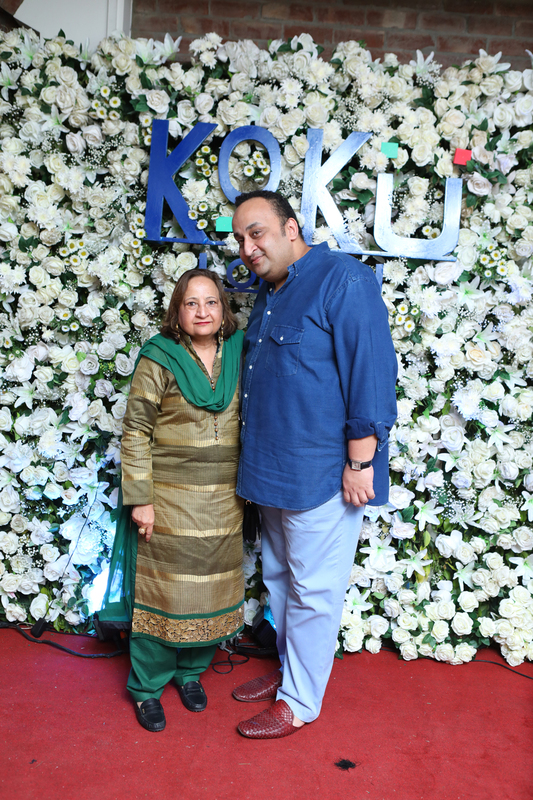 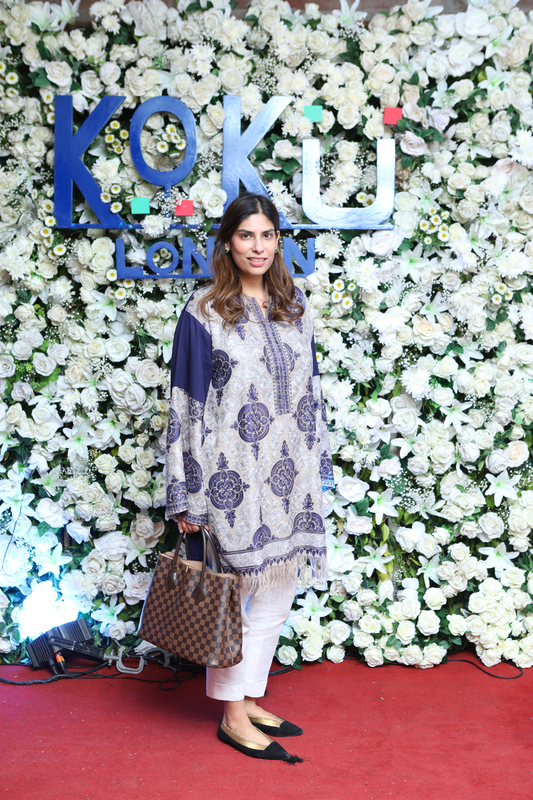 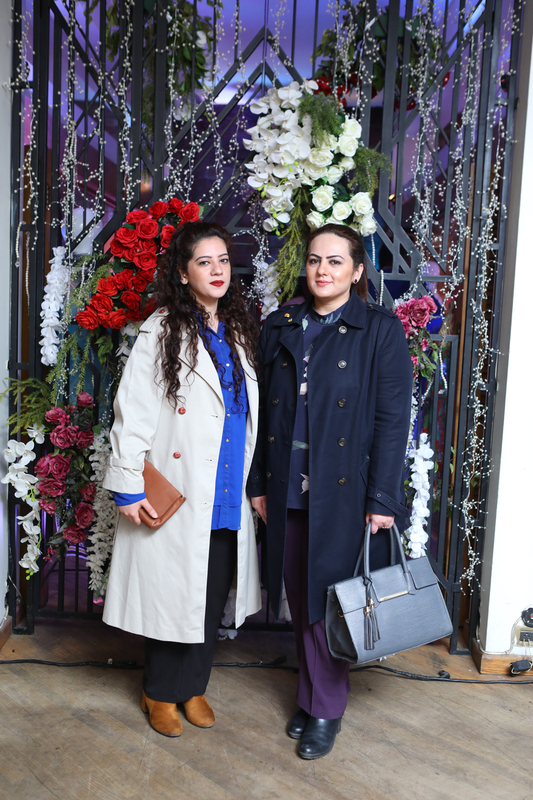 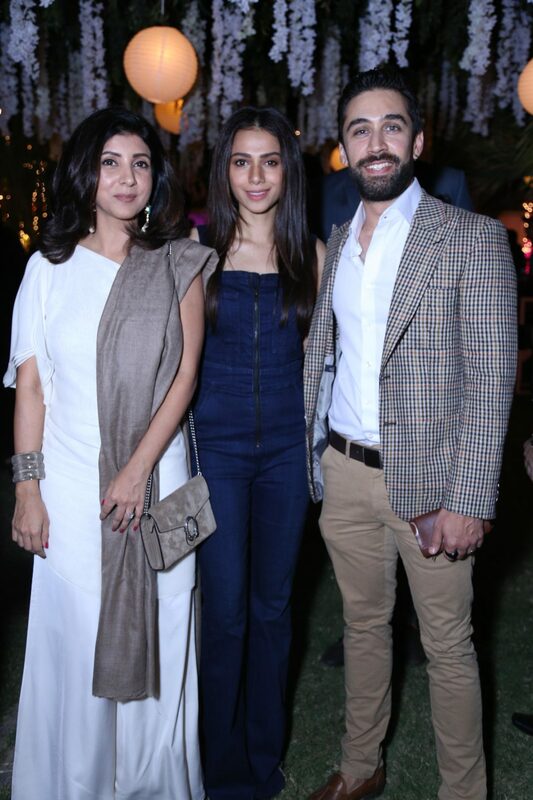 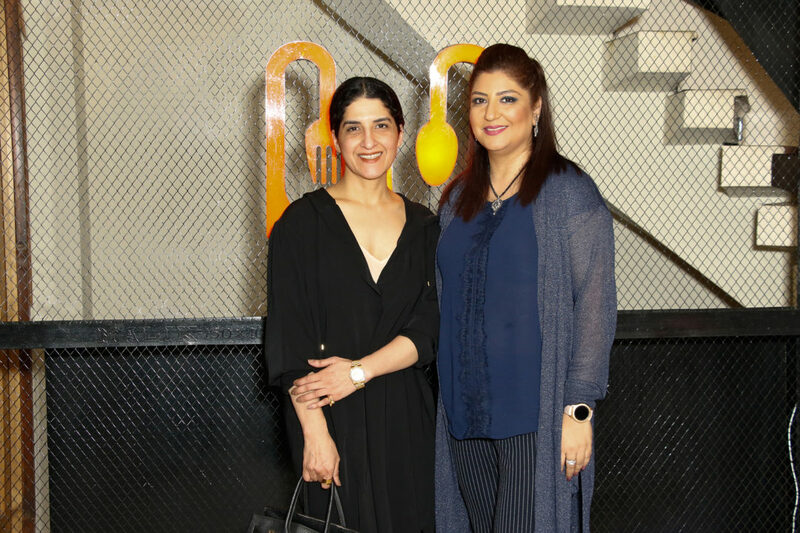 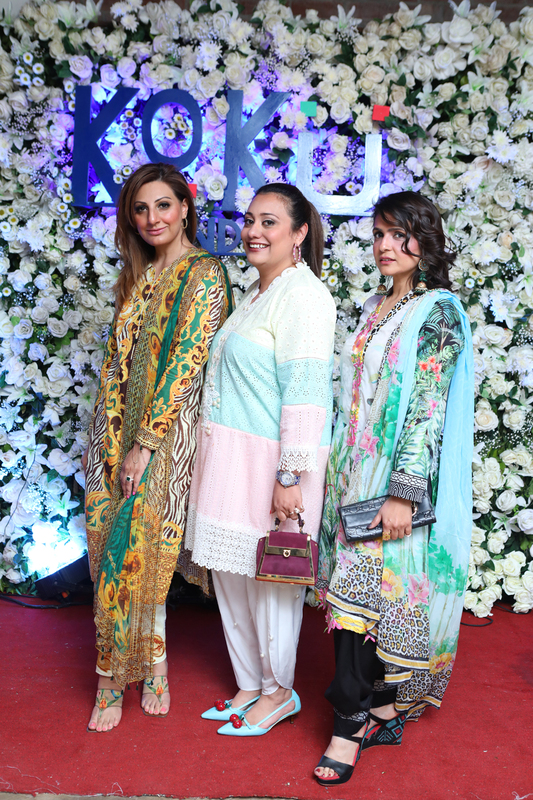 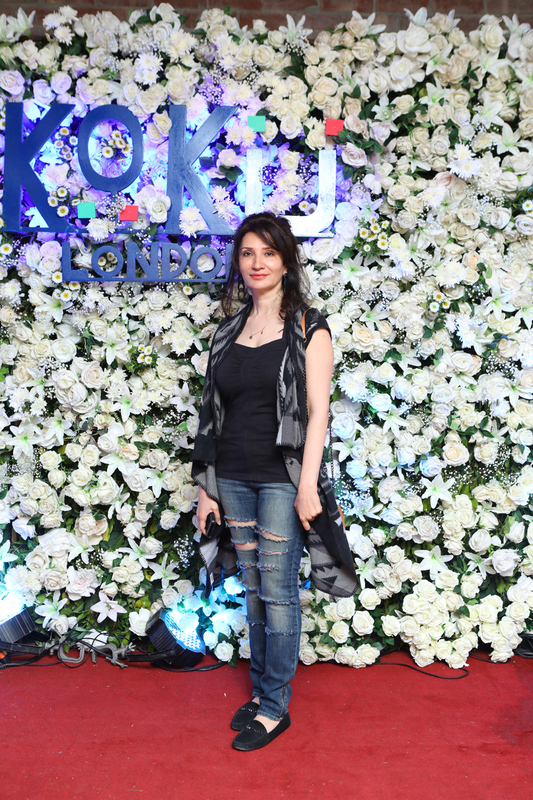 Amina and Muhammad of Koku London launched their Spring Summer Collection Volume 1 BAHAR with a preview at Cosa Nostra Lahore. 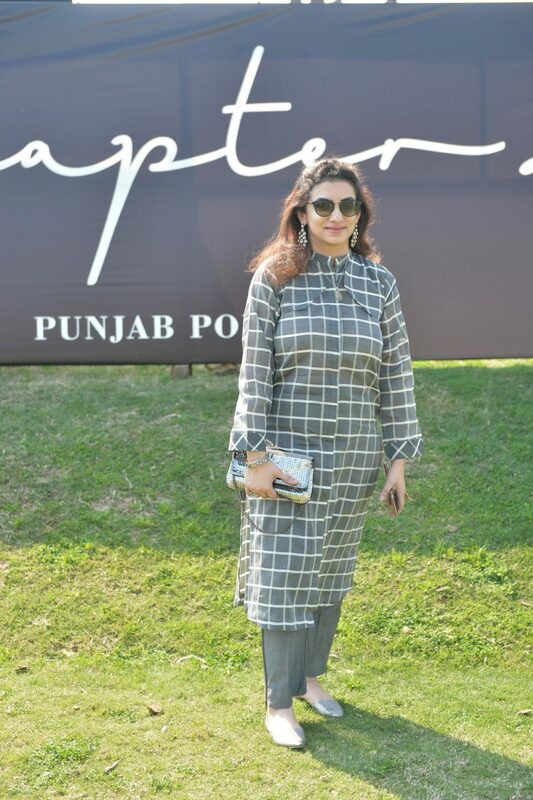 International Steels Limited [ISL], the largest Flat Steel manufacturer in Pakistan and patrons of the King of Games, Polo, partnered with the Lahore Polo Club to sponsor one of the most prestigious sporting tournaments in Asia: The International Steels Limited National Open Polo Championship for the Quaid-e-Azam Gold Cup 2019. 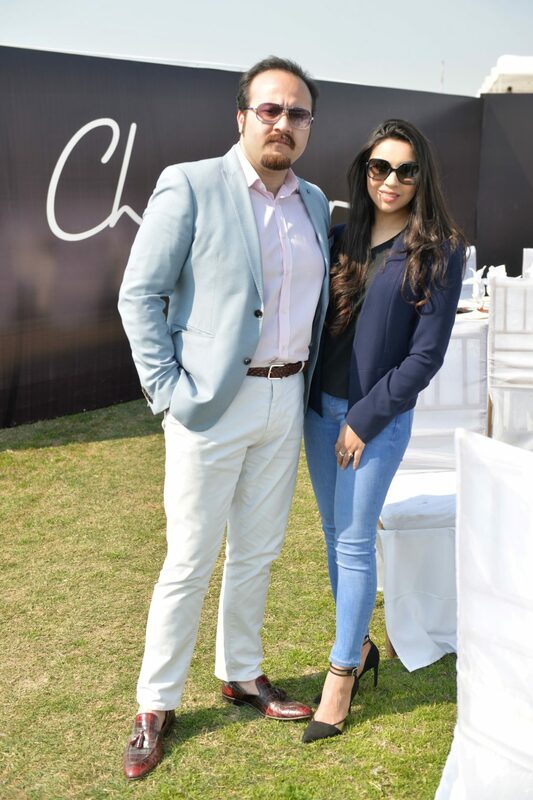 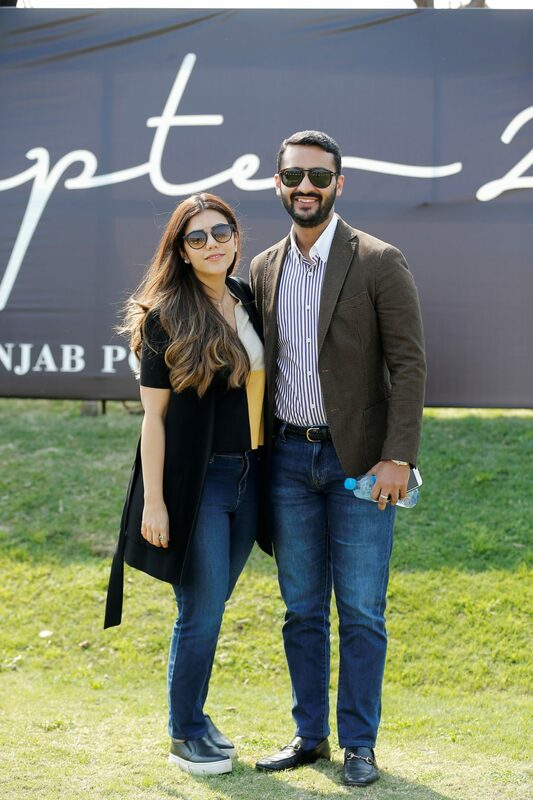 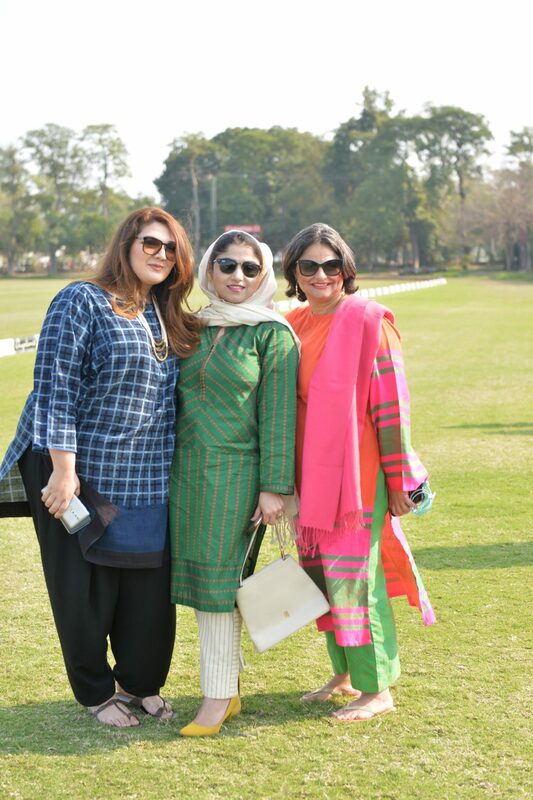 The tournament commenced on the 25th of February with a sensational final match between Master Paints [Black] and Master Paints [Grey] on the 10th of March 2019 at the historic Lahore Polo Club. 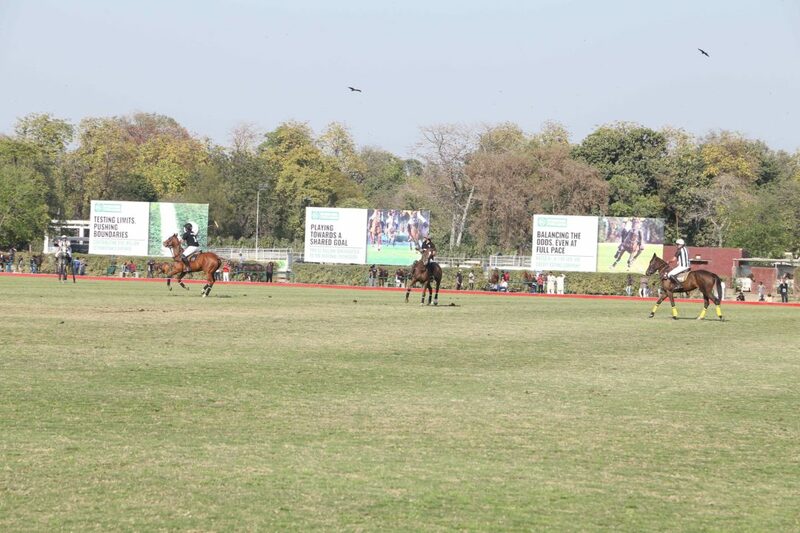 Master Paints [Black] with Sufi Muhammad Amir, Ahmed Ali Tiwana, Raja Temur Nadeem and Matias Vial Parez took home the coveted Quaid-e-Azam Gold Cup 2019. 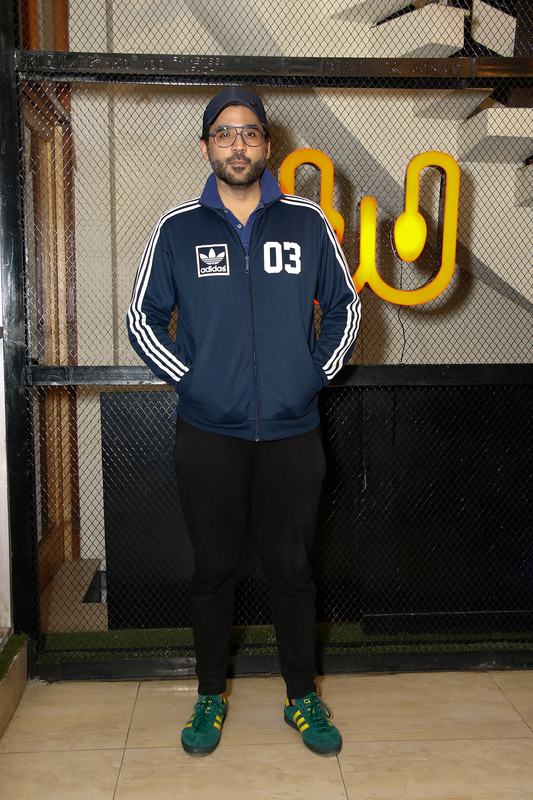 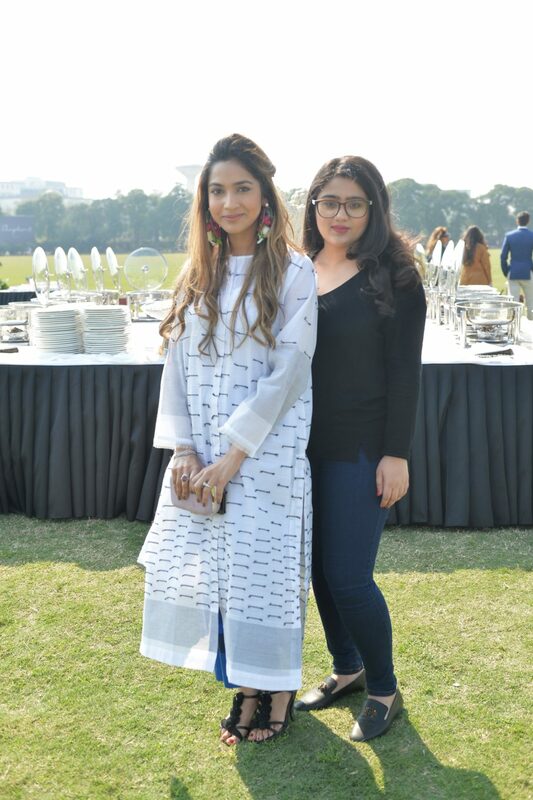 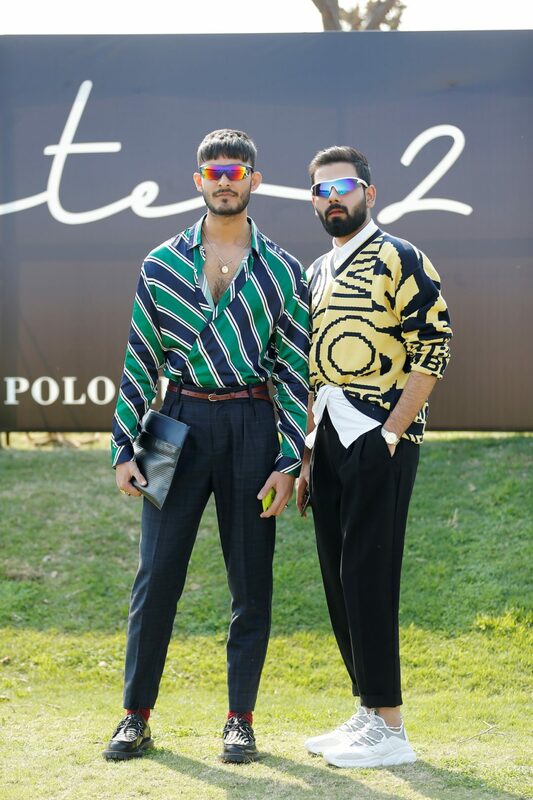 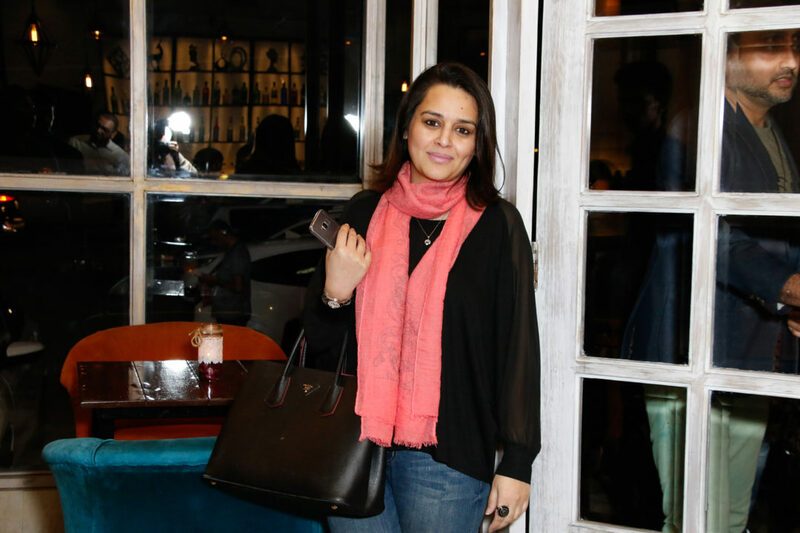 Prior to the final match, ISL hosted a lunch for corporate personalities and patrons of Polo members of the art, fashion, literary, design, music and sports communities. 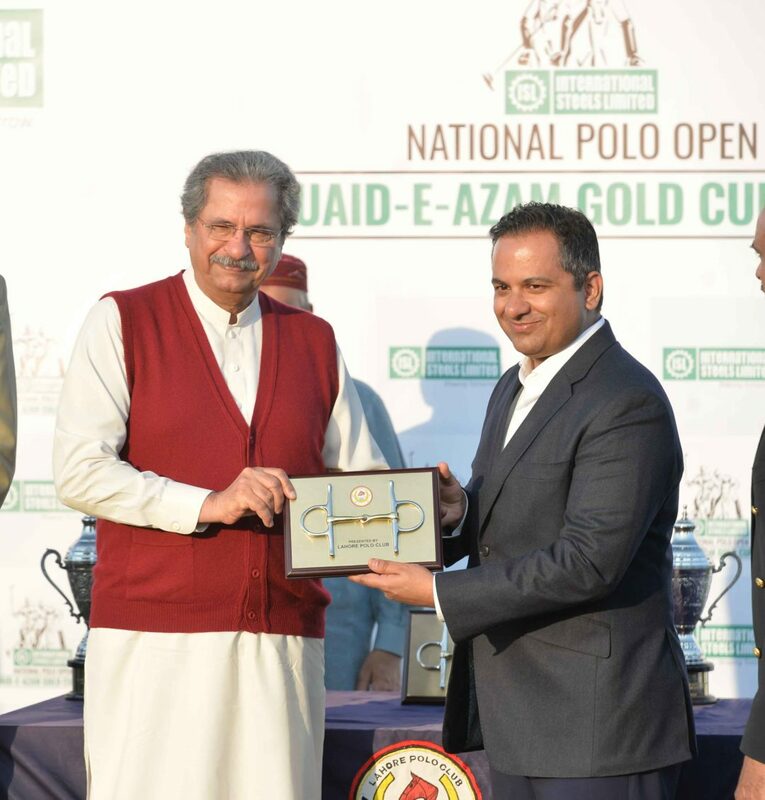 The honorable Federal Minister for Federal Education and Professional Training and Federal Minister for National History and Literary Heritage, Mr. Shafqat Mahmood attended the final as the Chief Guest and watched the final of the International Steels Limited National Open Polo Championship for the Quaid-e-Azam Gold Cup 2019 along with the President of the Polo Club, Mr. Malik Atif Yar Tiwana and Executive Director ISL Mr. Samir Chinoy following which a prize distribution ceremony was held. 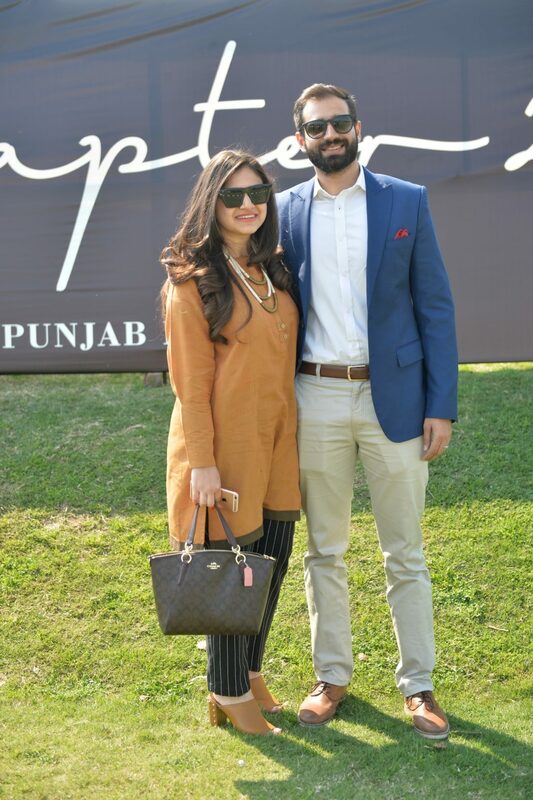 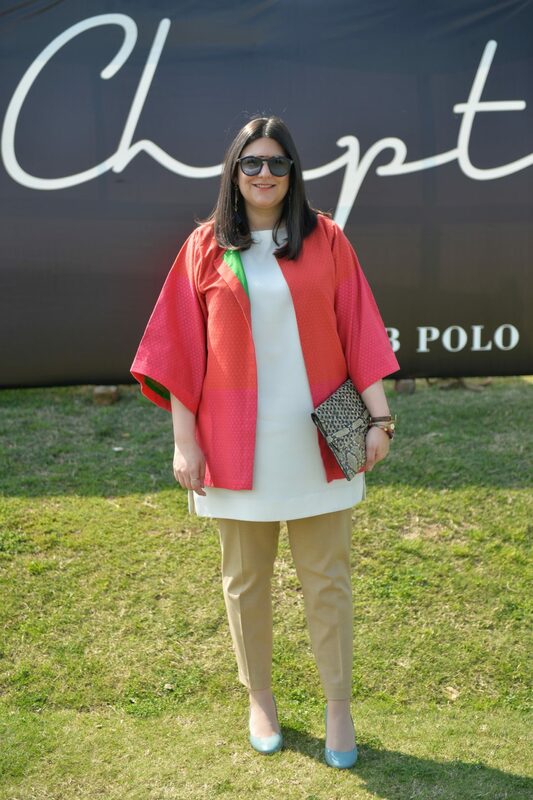 “It was a great honor to be here at the Lahore Polo club and we value the opportunity to partner with the Lahore Polo Club for the 2019 Quaid-e-Azam Gold Cup one of the most important tournaments in the Pakistan Polo calendar. 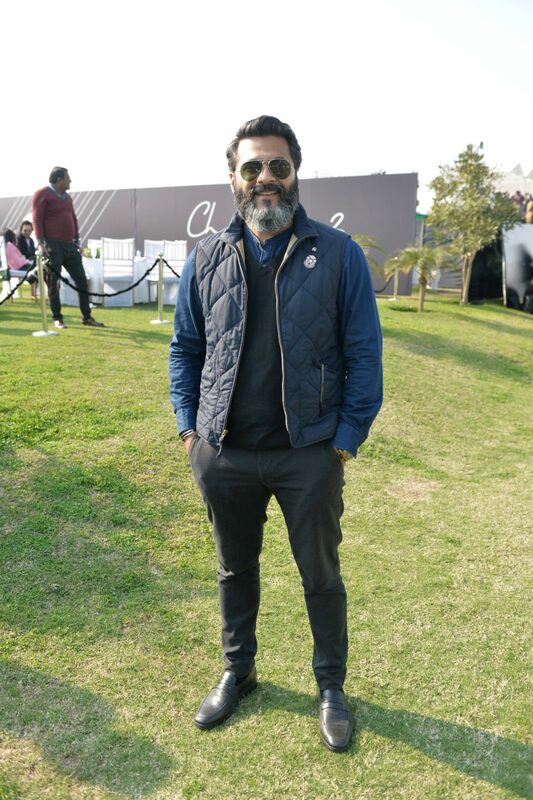 Having played in my younger days, I feel humbled to have the opportunity to help promote a sport that bought me much joy and taught me valuable lessons on Strategy, Teamwork and Determination, the same ethos that International Steels has showed since its came into being in 2011” said Mr. Samir Chinoy, Executive Director, ISL. 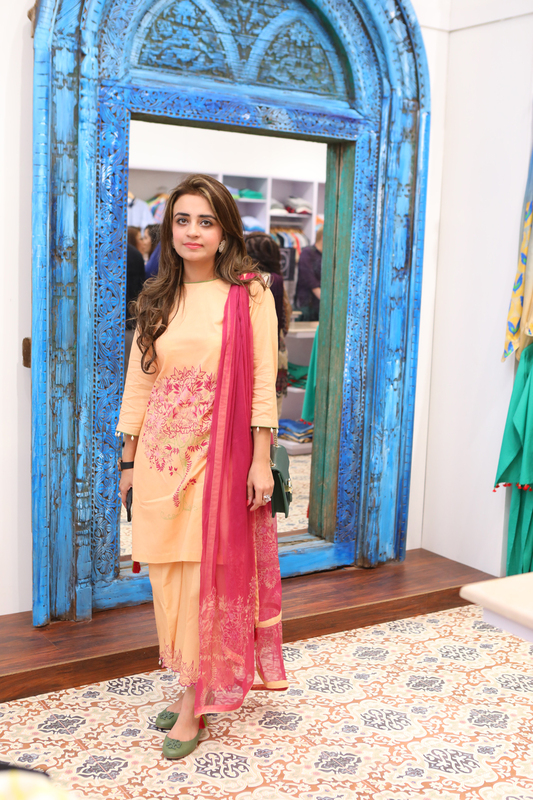 He further added that, “International steels believe in being part of shaping tomorrow, which, simply put, is to lead by example and promote brand Pakistan by redefining what it means to be Made in Pakistan. 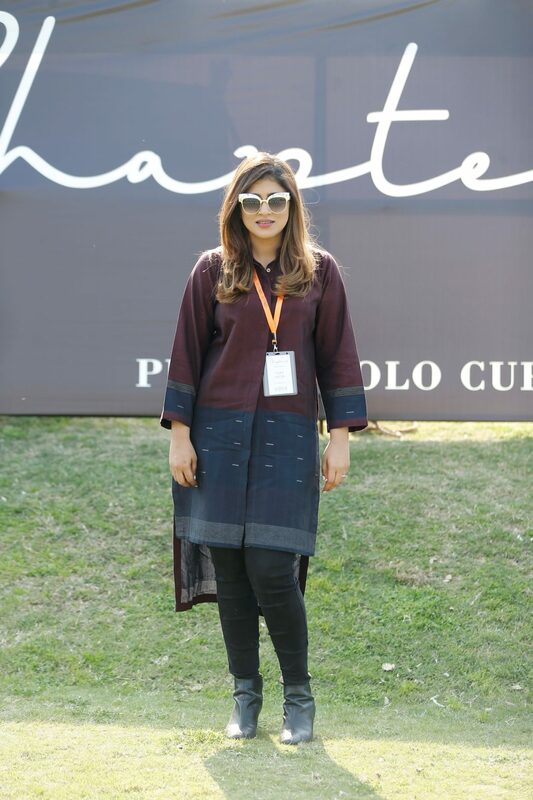 We will continue to strive to give back to Pakistan by supporting various initiatives such as the Arts and Sports and in doing so hope that other corporates follow. 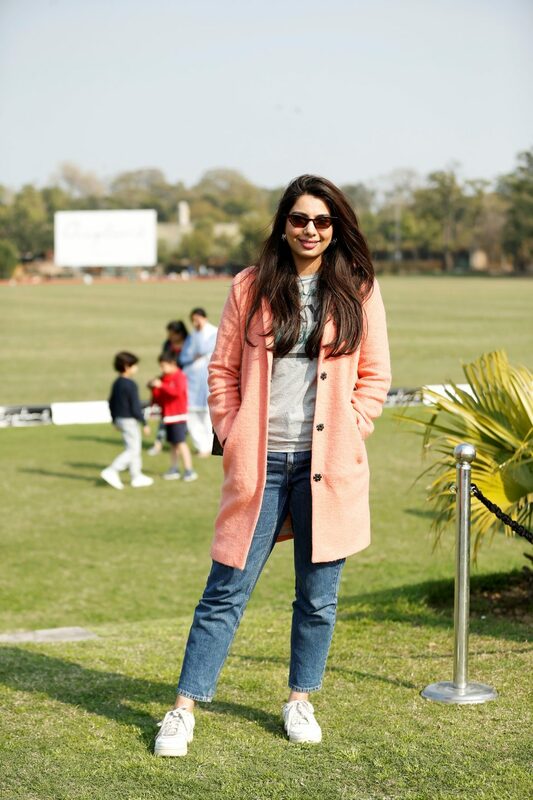 I would like to thank the Lahore Polo Club, the Patrons, umpires, players both local and foreign, who I hope will be our ambassador as they return to their countries and as the partake in the world polo circuit. 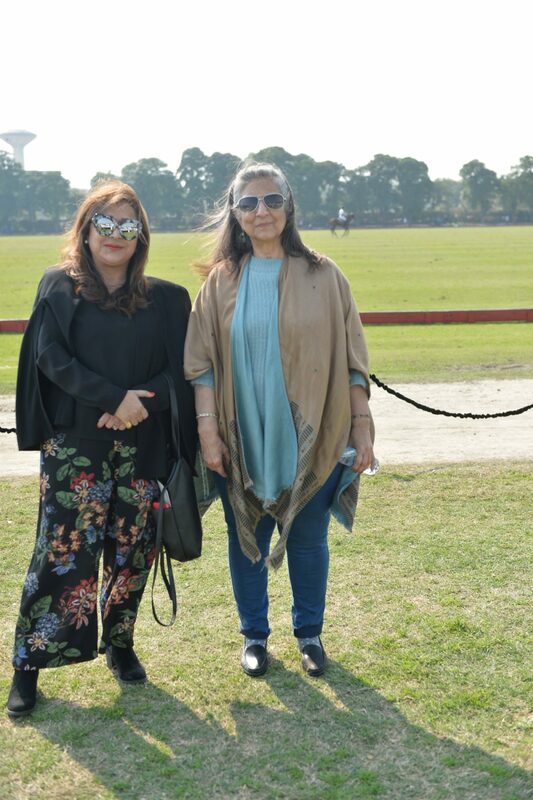 I would also like to acknowledge and appreciate Mr. Emran Akhtar for bringing us together with the Lahore Polo Club and with the sport of polo”. 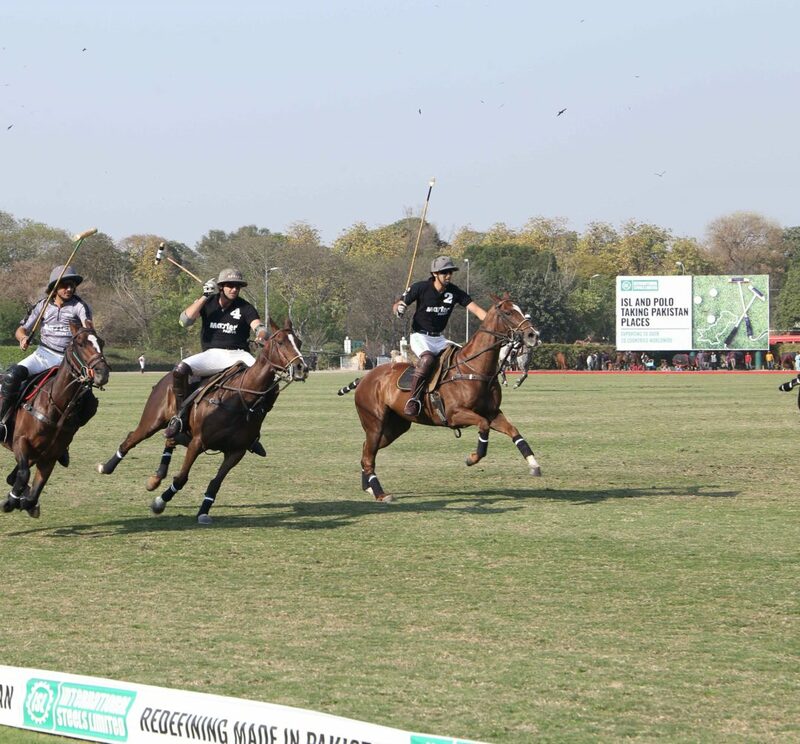 A 14 goal tournament, this year’s championship was contested between five participating teams with players from Argentina, Chile, Pakistan and the UK, including Nicolas Corti, Saqib Khan Khakwani, Juan Cruz Losada, Hissam Ali Hyder, Hamza Mawaz Khan, Salvador Ulloa, Raja Temur Nadeem, Matias Vial Parez, Ahmed Ali Tiwana, Bautista Bayuger, Raja Samiullah and Bilal Haye. 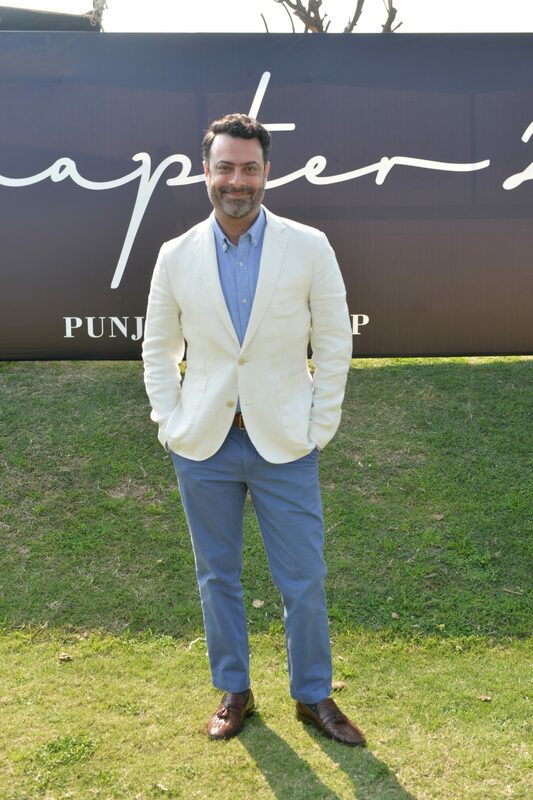 Indeed, the National Polo Championship was first played and introduced in 1963 as the El Effendi Cup presented by Brig HM el Effendi. 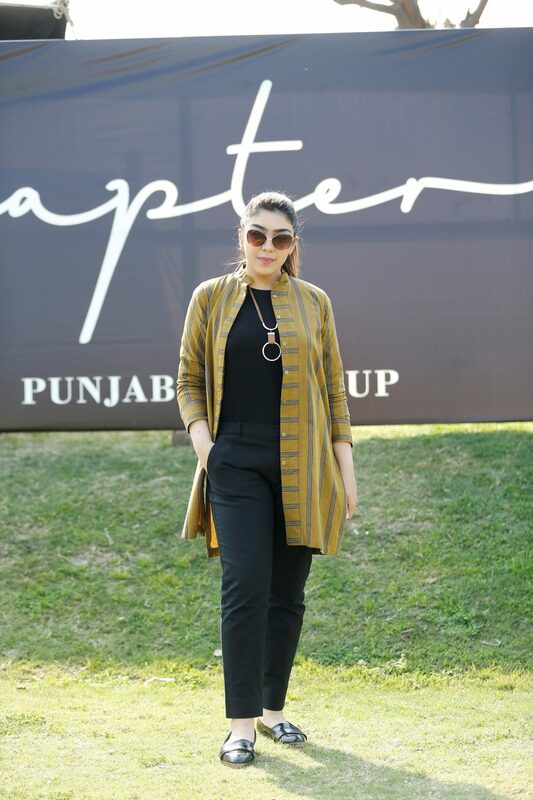 In 1977, it was renamed as Quaid-e-Azam Gold Cup on the direction of government of Pakistan. 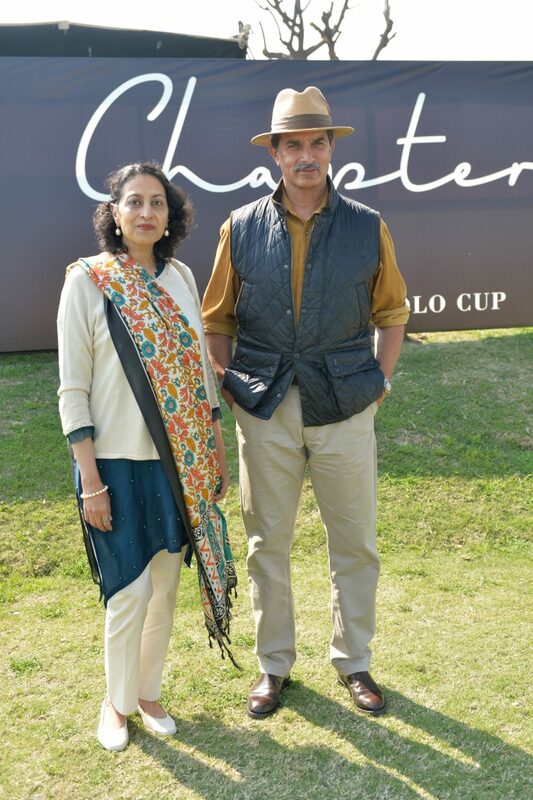 The tournament has been played for some four decades with popularity all over the polo community domestically and internationally. 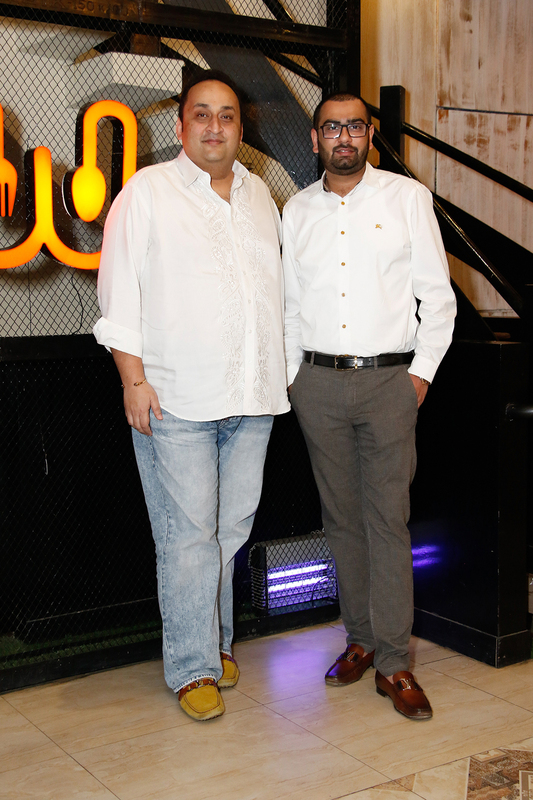 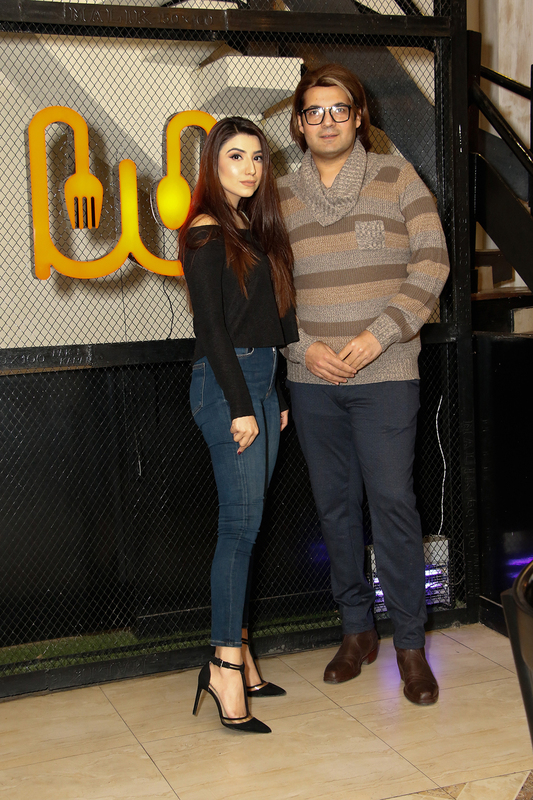 Mohammad and Hamza of The Warehouse Cafe in DHA hosted a meet and greet over a lavish hi tea for the food lovers of Lahore. 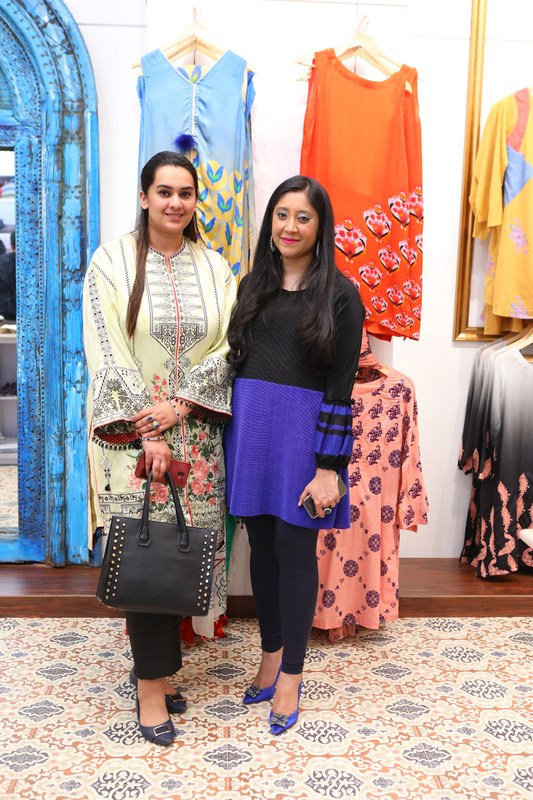 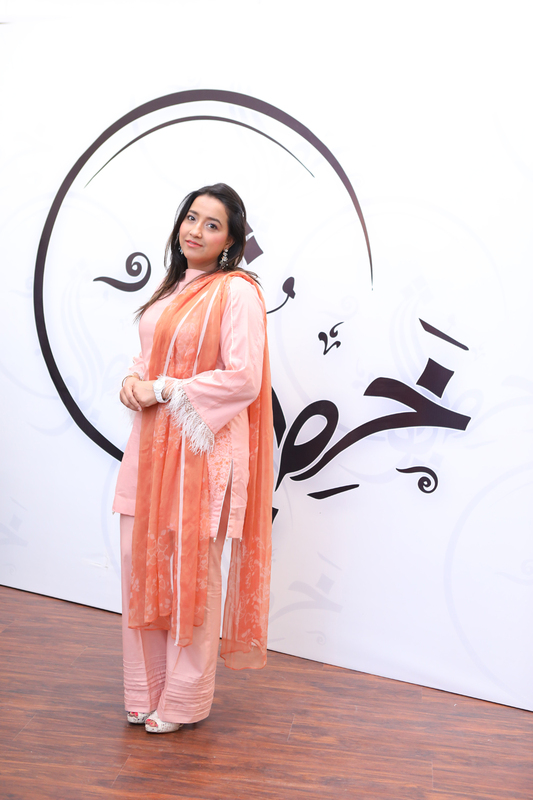 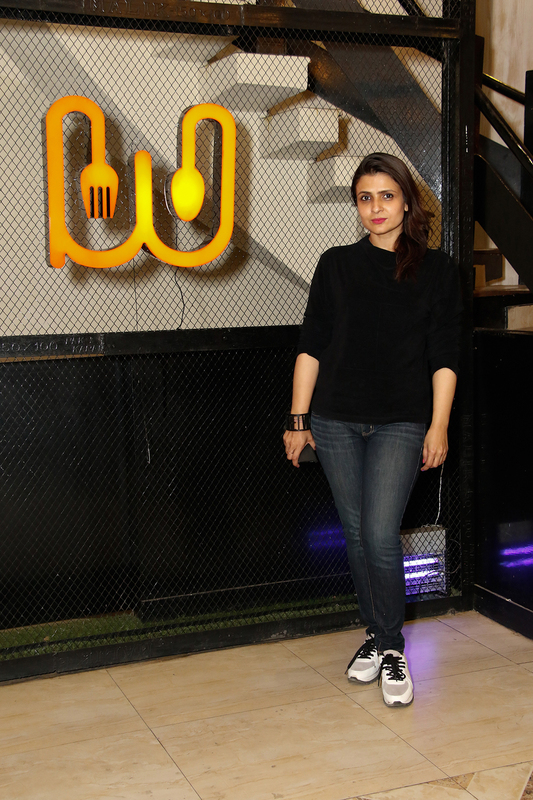 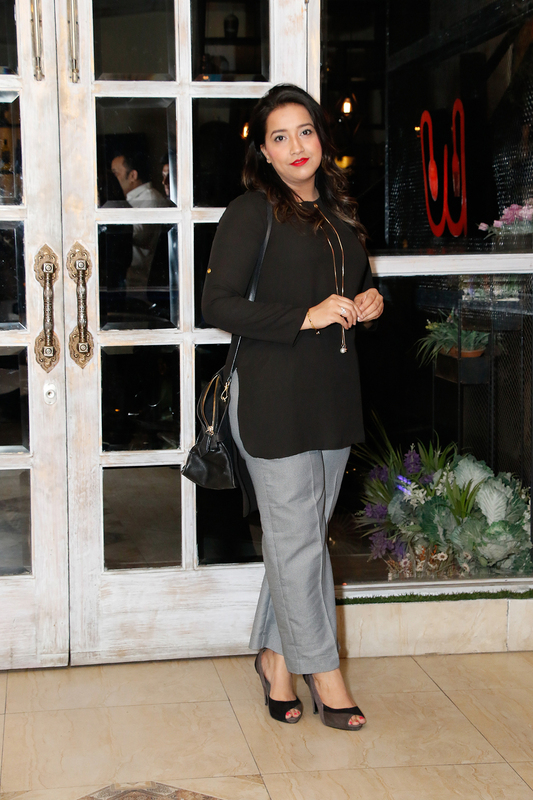 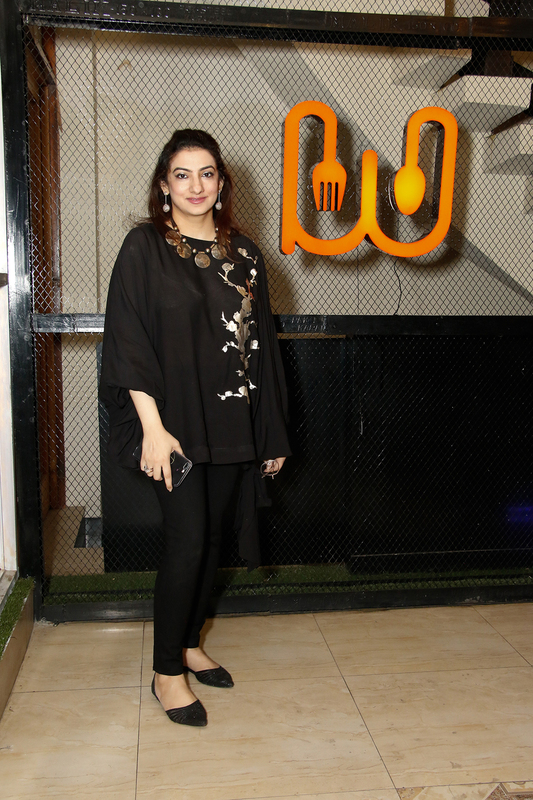 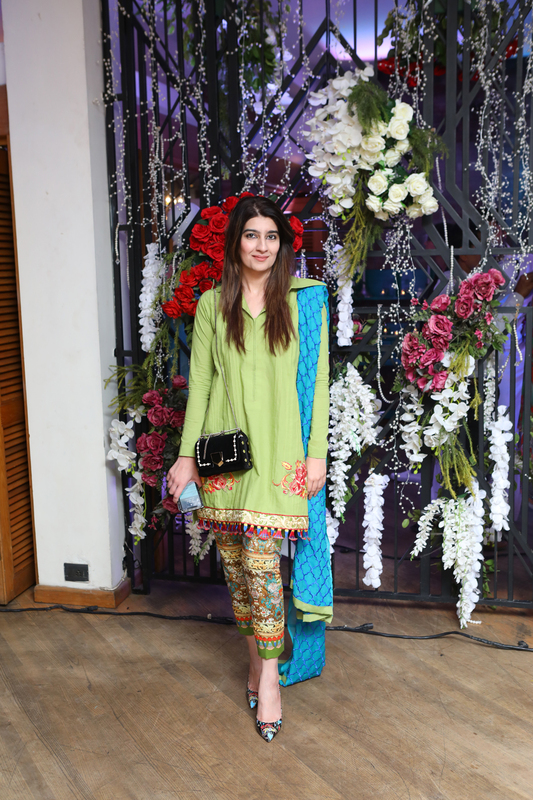 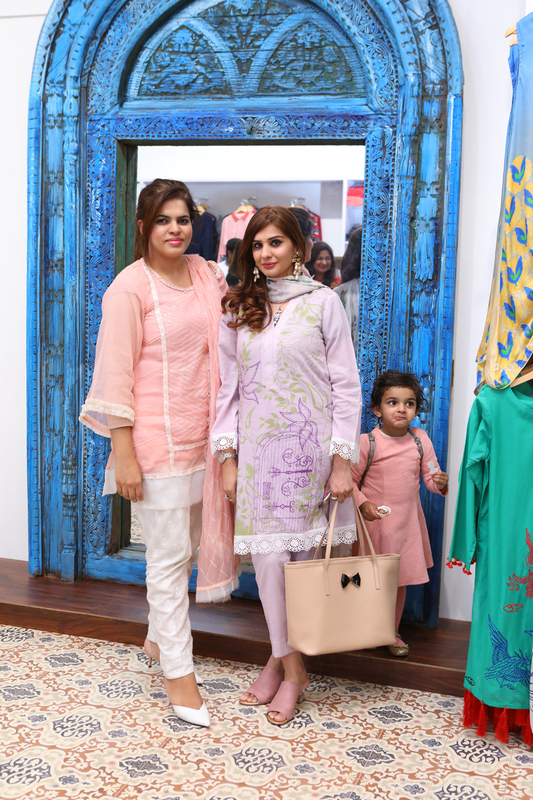 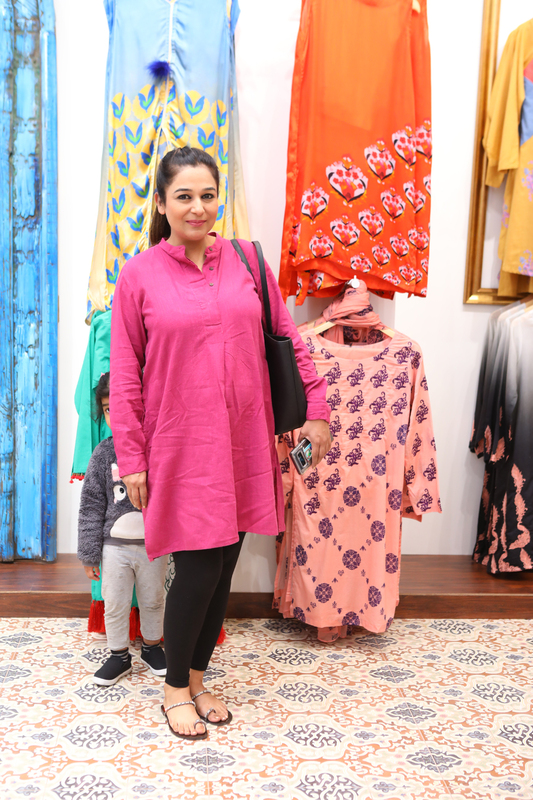 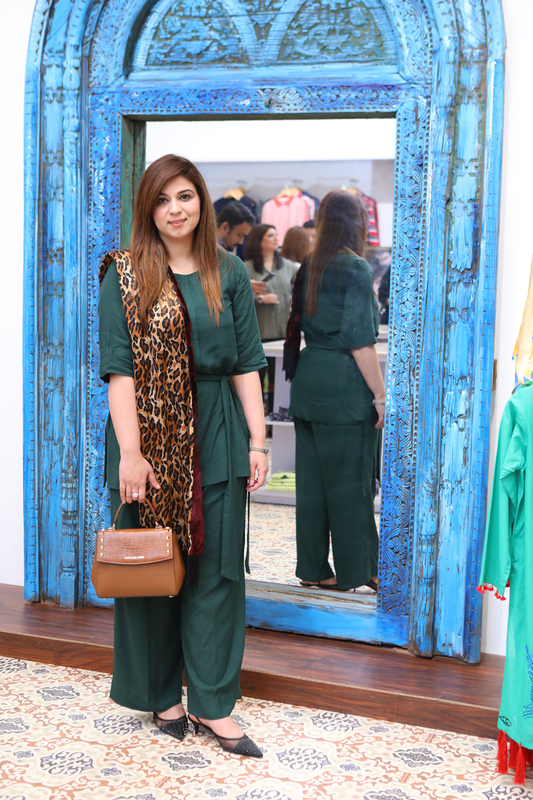 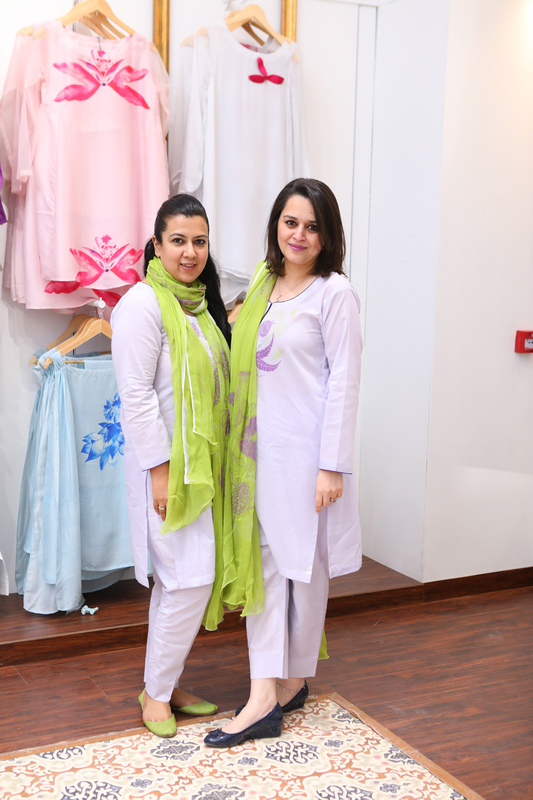 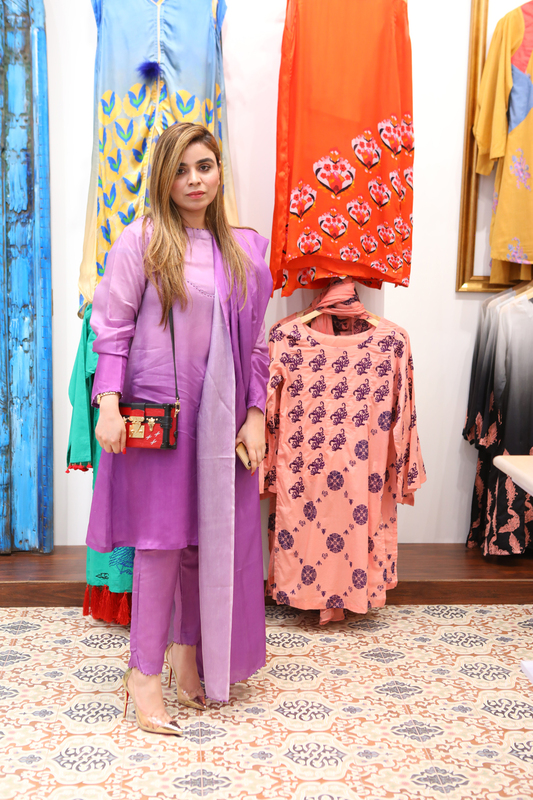 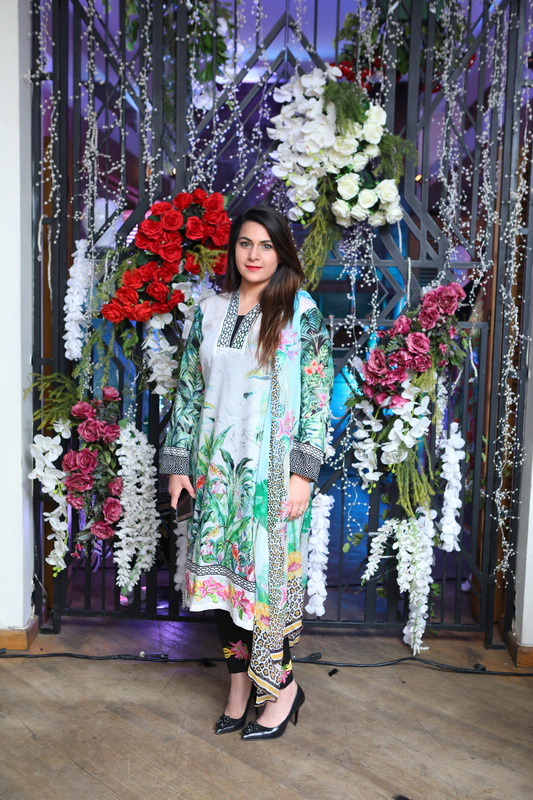 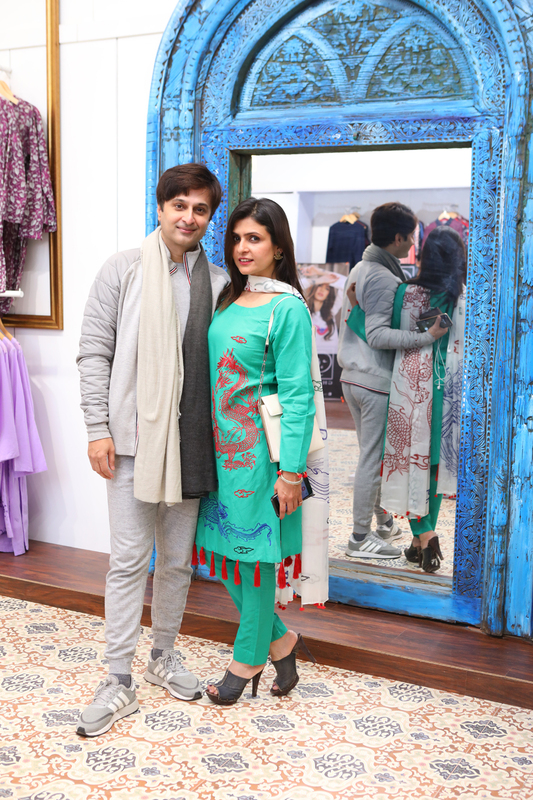 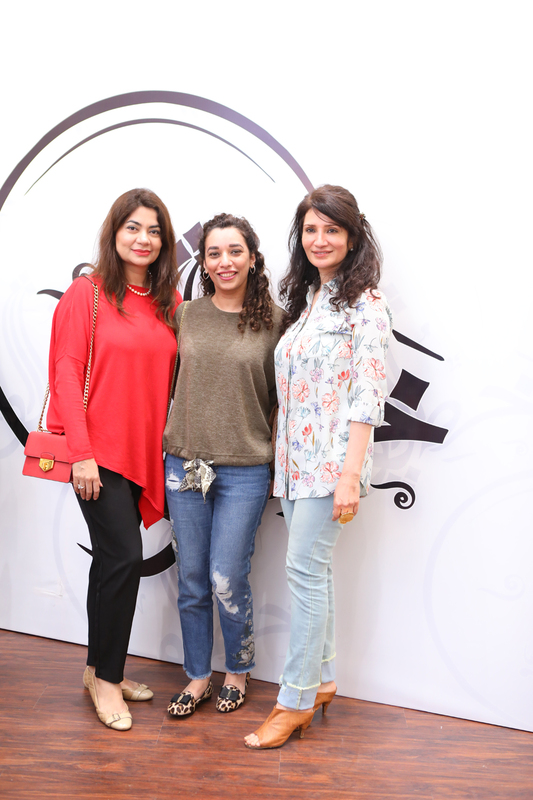 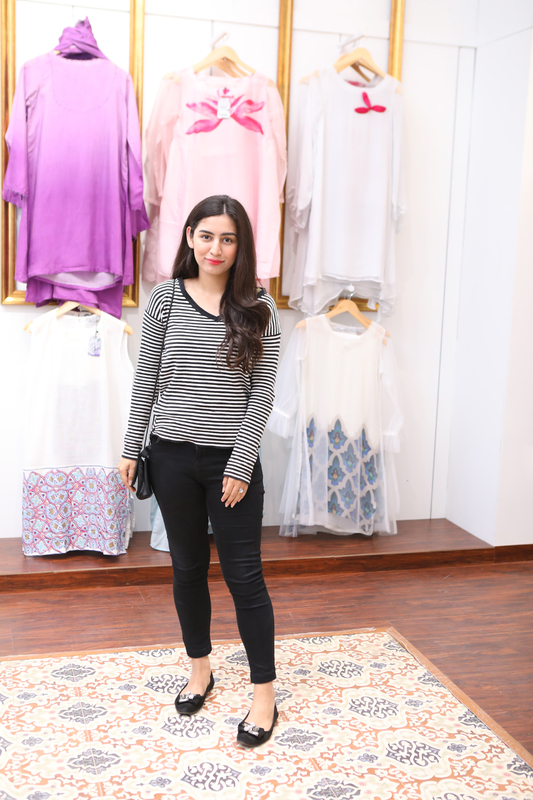 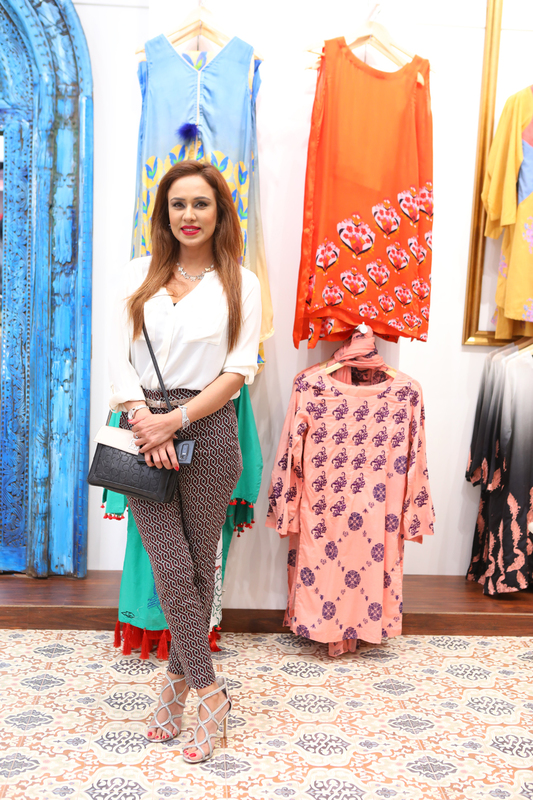 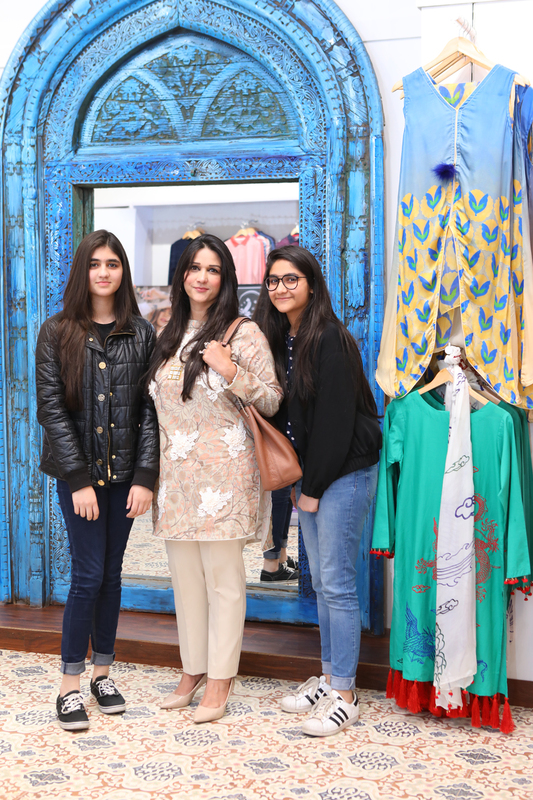 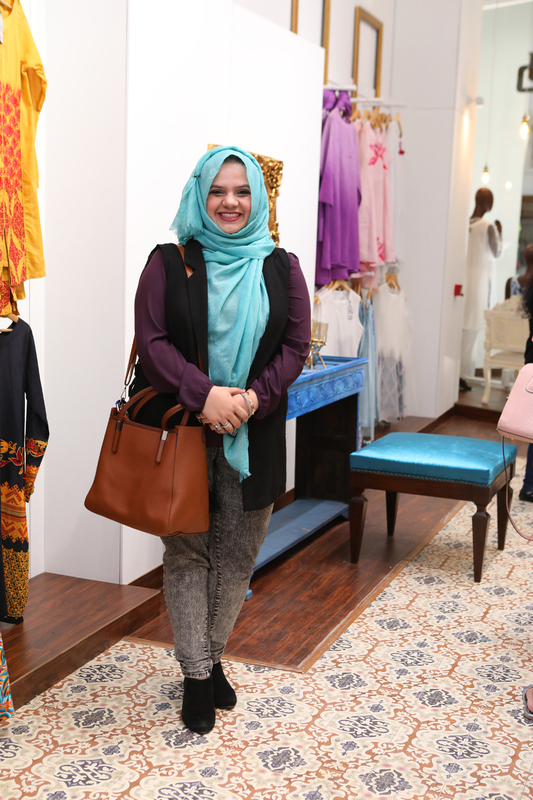 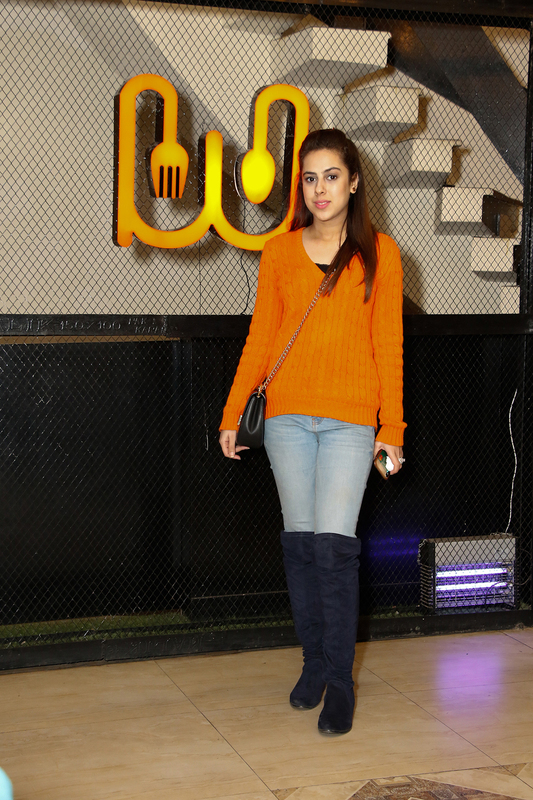 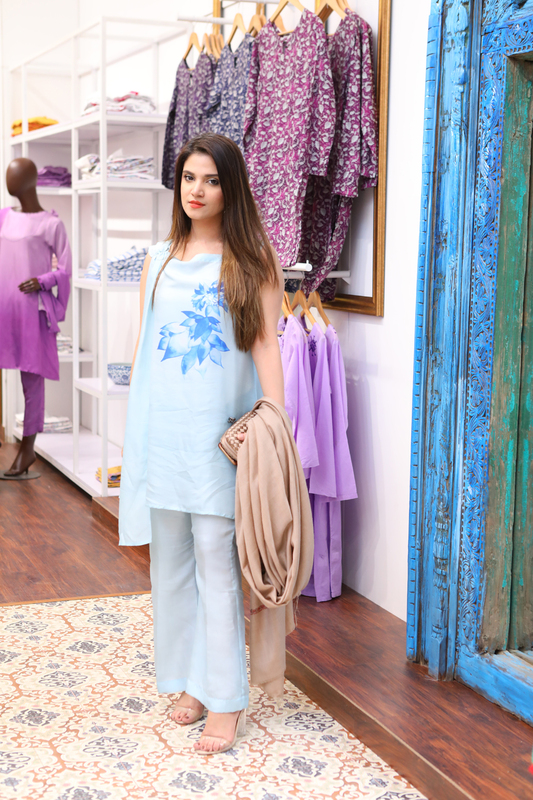 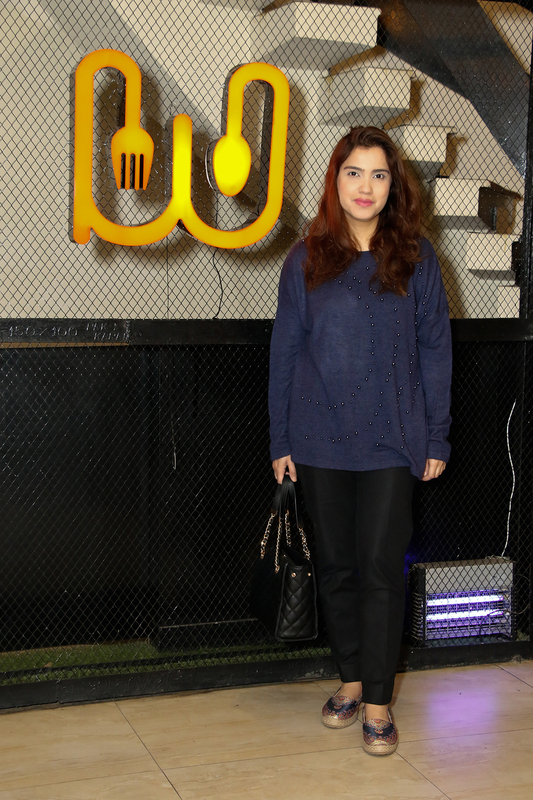 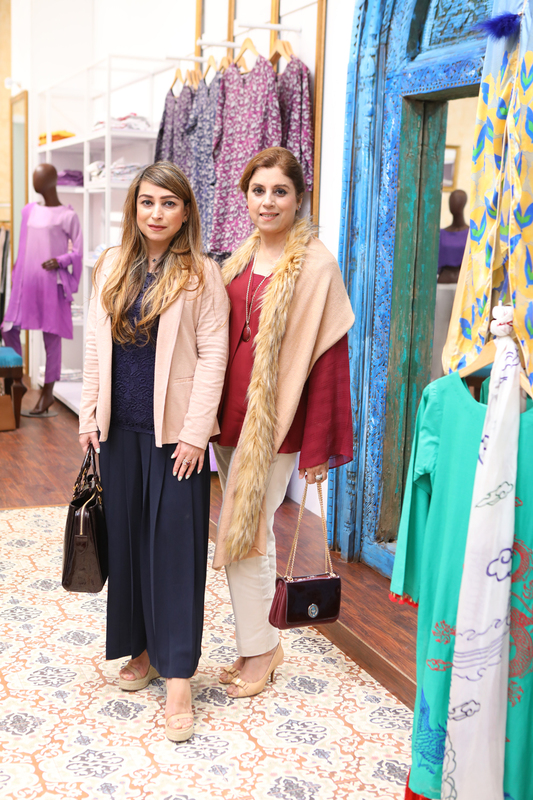 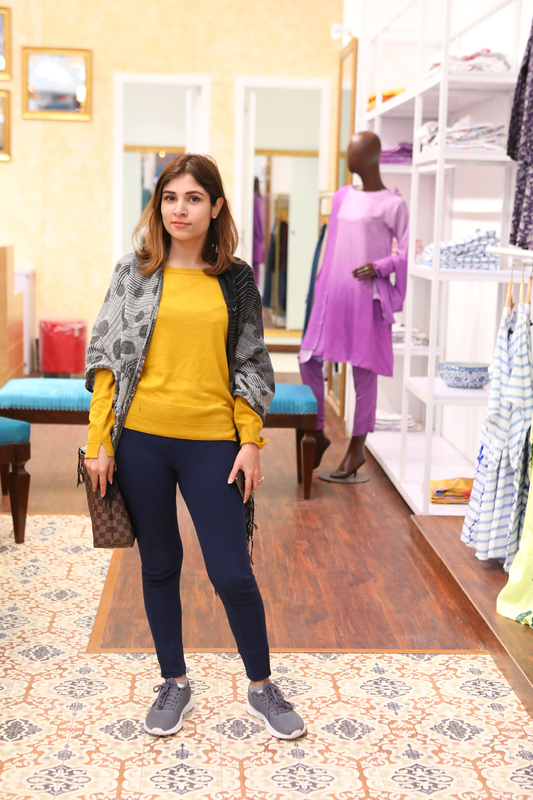 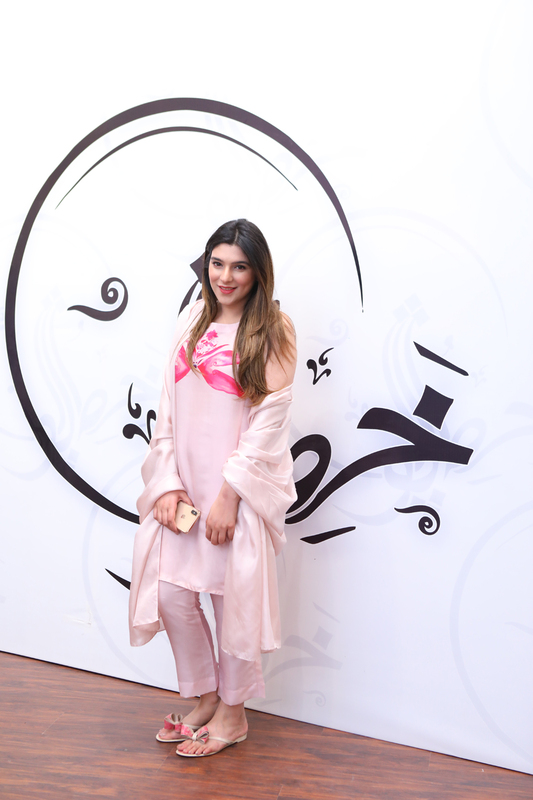 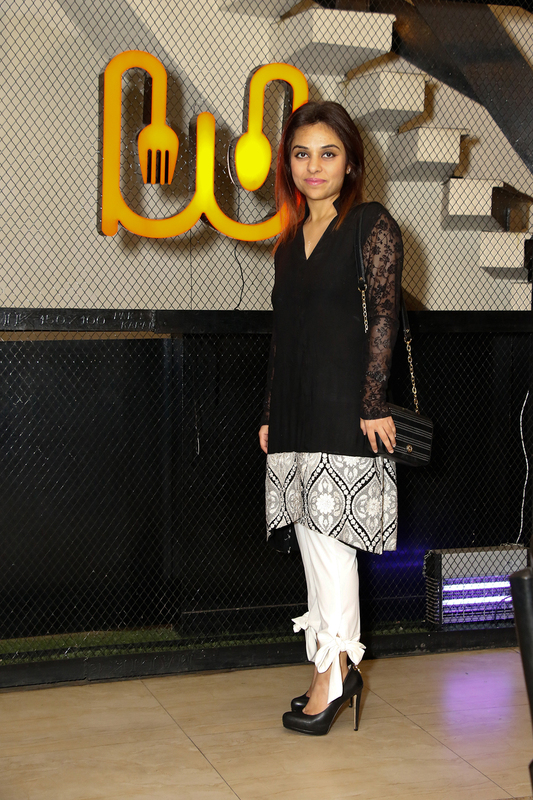 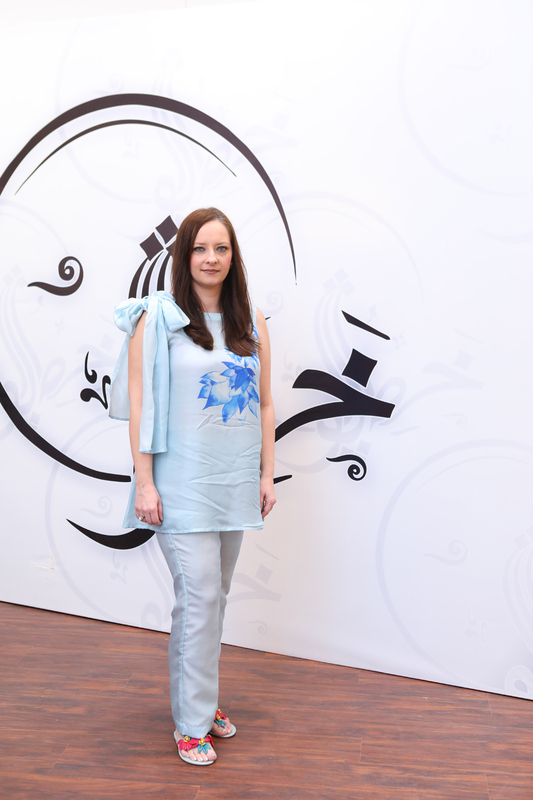 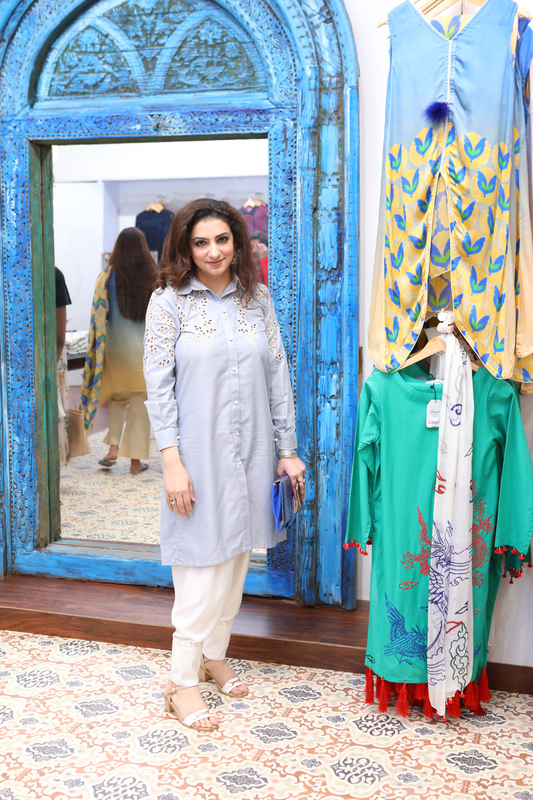 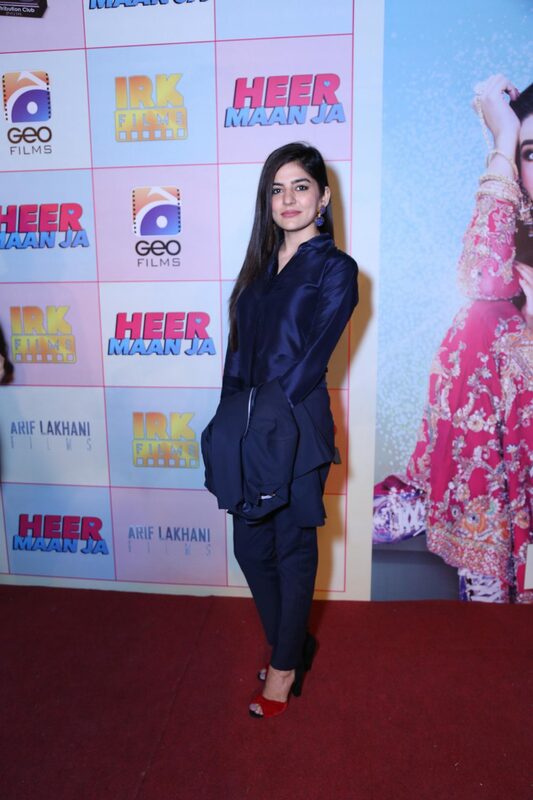 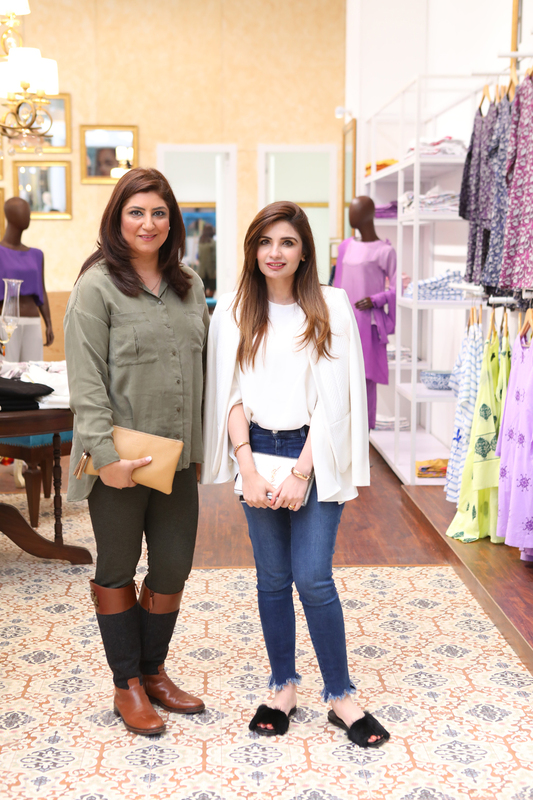 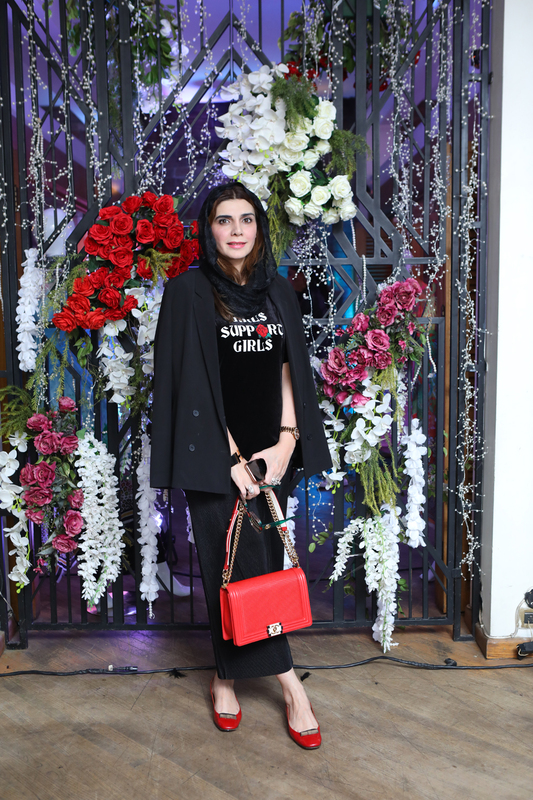 Javeria Khan of Khatepoesh launched their spring summer collection at the Khatepoesh Store in Packages Mall Lahore. 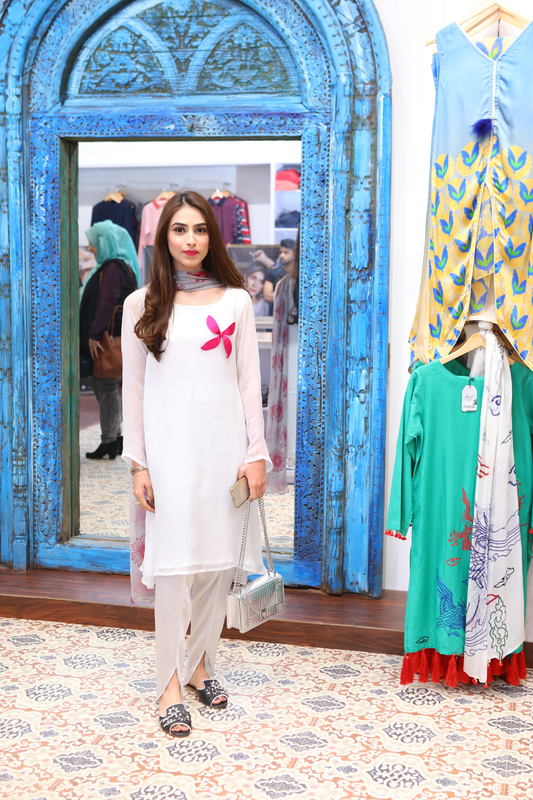 Edenrobe WOMAN reveals Sana Javed as the face of their collection Let Women Be! 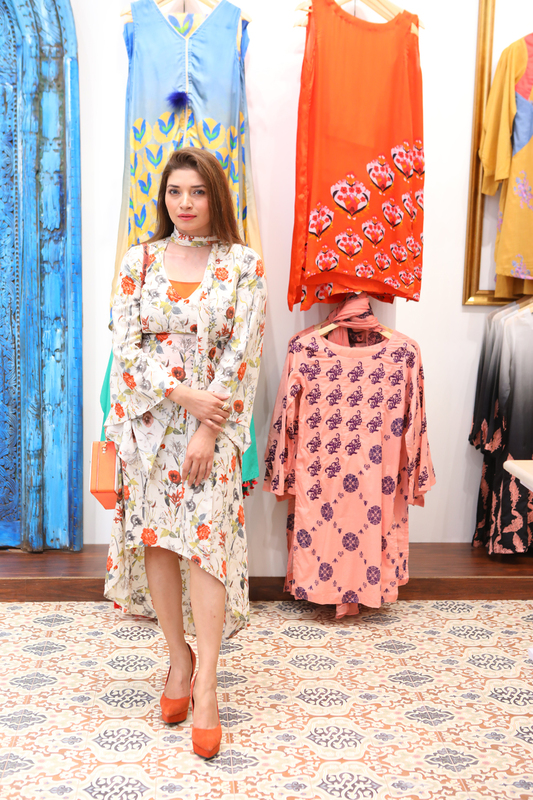 With the colors of spring just unfolded, edenrobe WOMAN reveals its colorful and aesthetically appealing summer collection “let Women Be” with Sana Javed as the face of the collection. 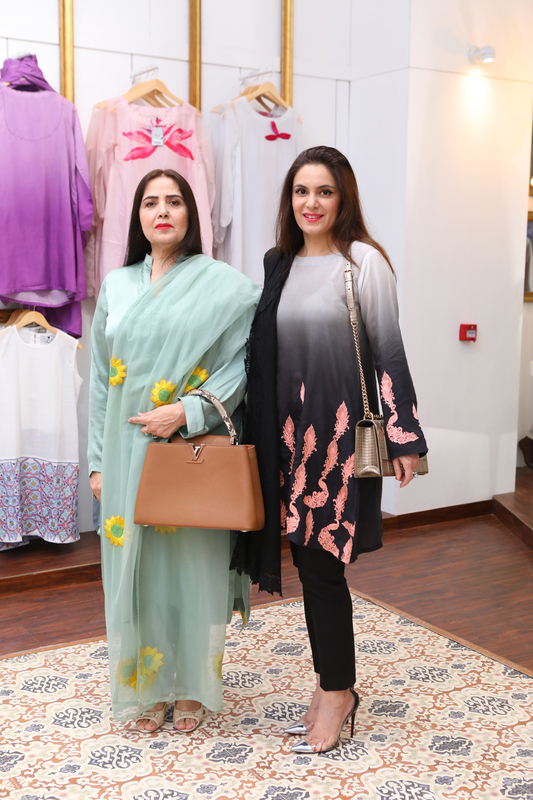 With having the versatile actress on board for the first time, edenrobe ensures that its collection showcases the strong women of today. 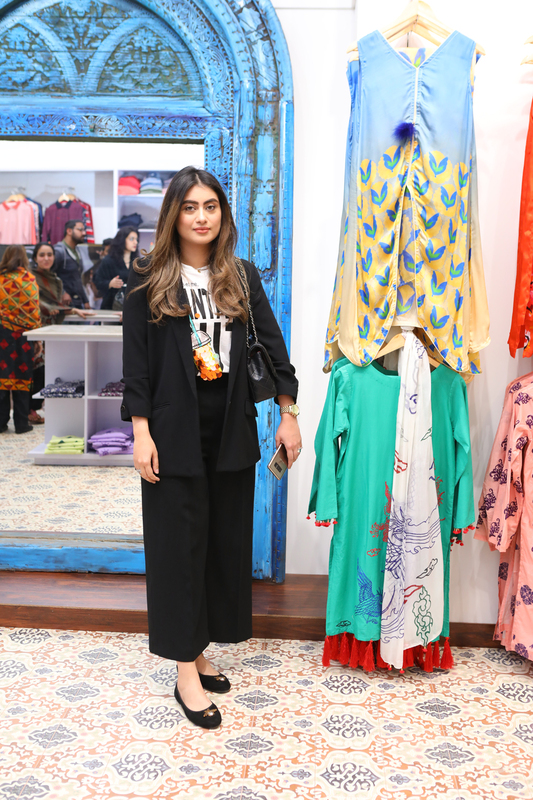 Selecting Sana Javed as the face of the brand is an extended approach of how the brand wants to showcase women as the empowered ones. 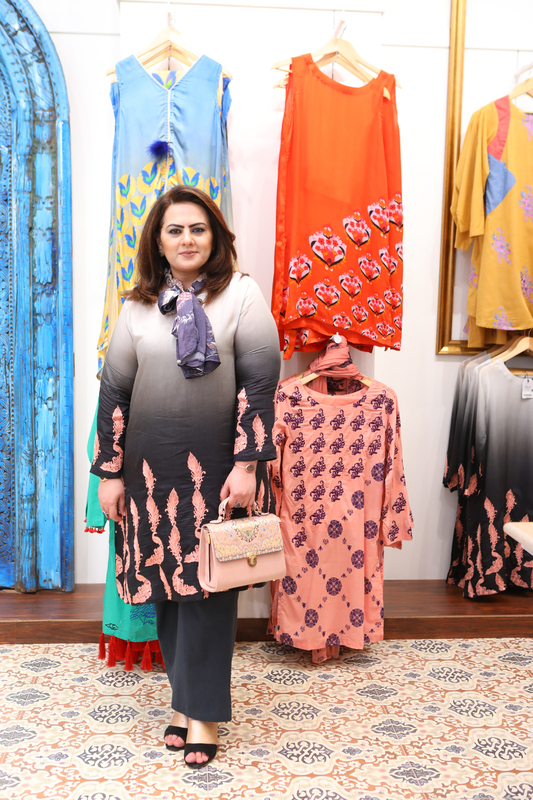 The collection features more than 100 dresses having beautiful silk, chiffon dupatta to compliment the 3 piece suits, along with this; the collection will also consist of 2 piece and 1 piece prints. 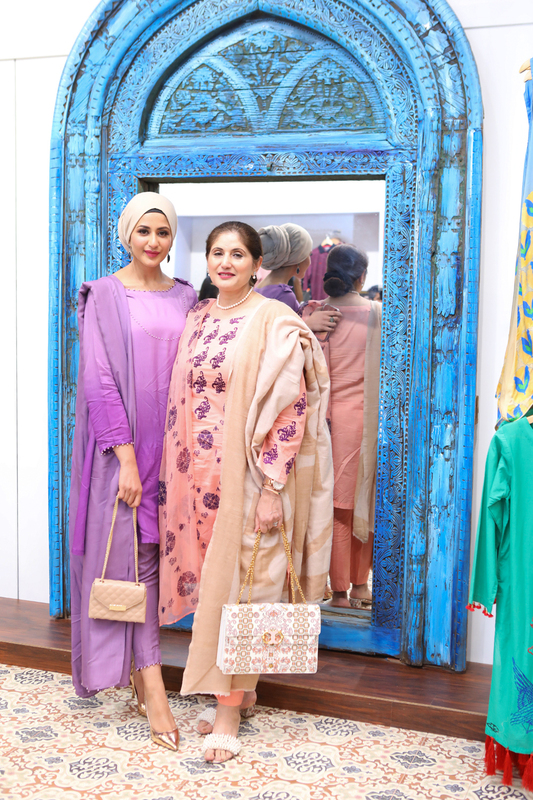 Brand will also be launching a collection for mothers under the same name. 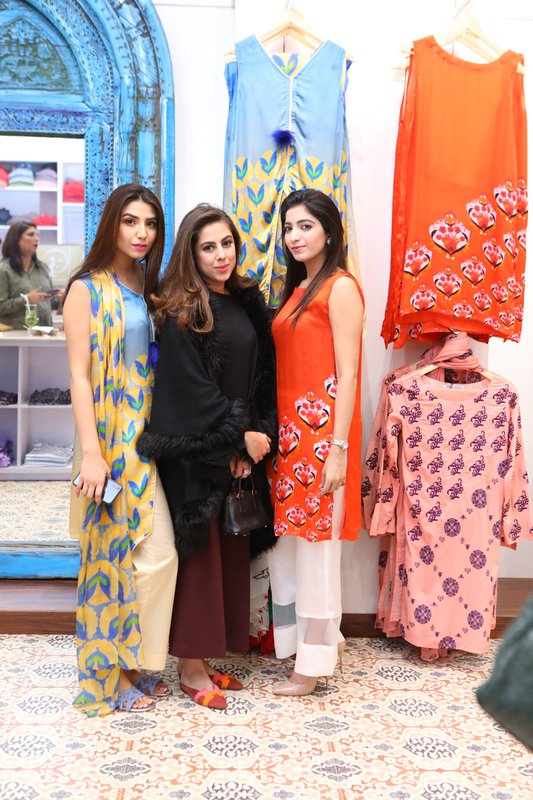 Just like the winter collection, this time again edenrobe aims to promote and provide self-confidence among women to let them pursue their dreams without any hurdles. 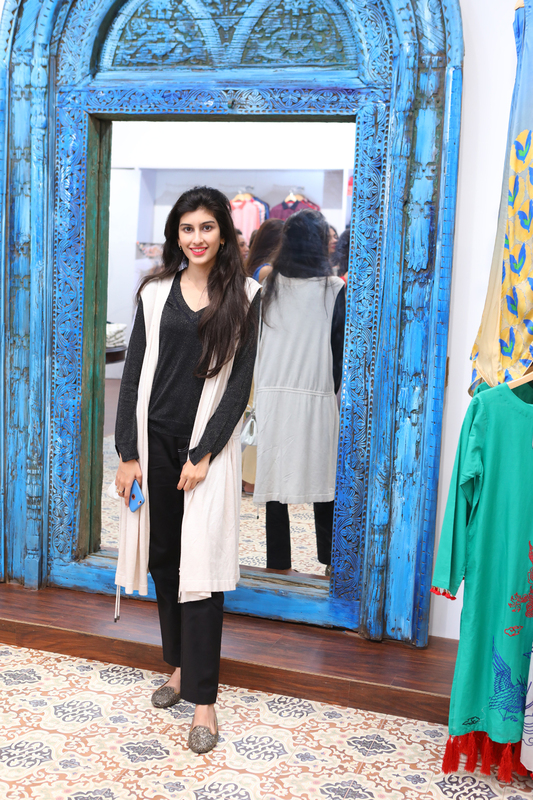 With Sana being the face, the brand gives out confidence to every girl to fight all the odds and hurdles coming her way.